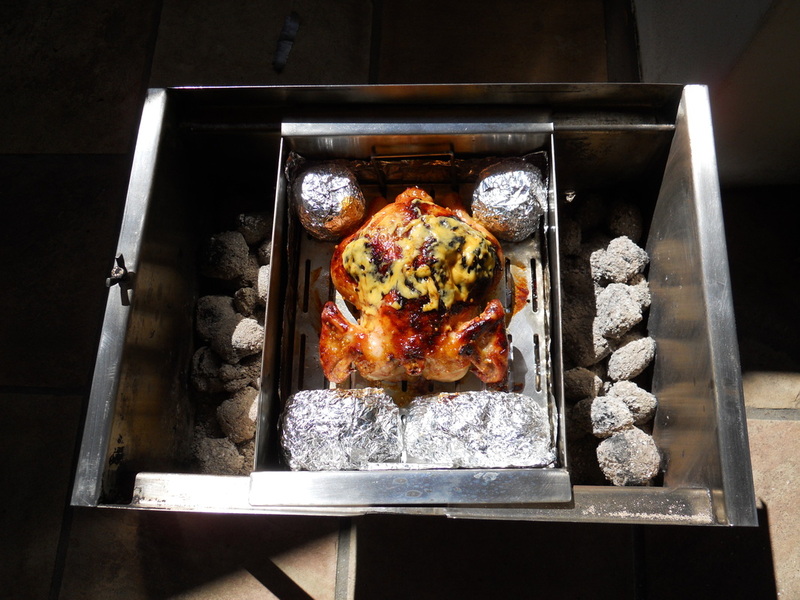 How to get the most out of your KSC Braai Items, combined it's a Braai, Oven AND Mini Smoker! 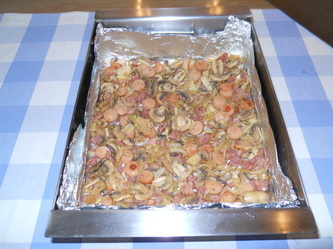 AND to give you great meal ideas that will contribute to memorable camping and 4x4 meal times! We like to write A LOT so remember to scroll down this page to view all our cooking demo's. "Koek Innie Bos", who would've thought! 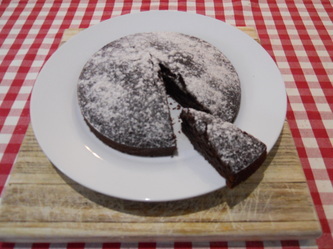 To bake this delicious cake you'll need the following ingredients: 3/4 Cup Cake Flour, 1/2 Cup Sugar, 3 Table Spoons Cocoa Powder, 1/2 Teaspoon Bicarbonate of Soda, 1/4 Teaspoon Salt, 1/2 Teaspoon Salt, 1/2 Teaspoon Vanilla Essence, 1/4 Cup Water, 1 Banana Mashed. 1 Table Spoon Syrup, 1/2 Table Spoon Cider Vinegar. Mix all the dry ingredients together with a whisk/ wooden spoon. 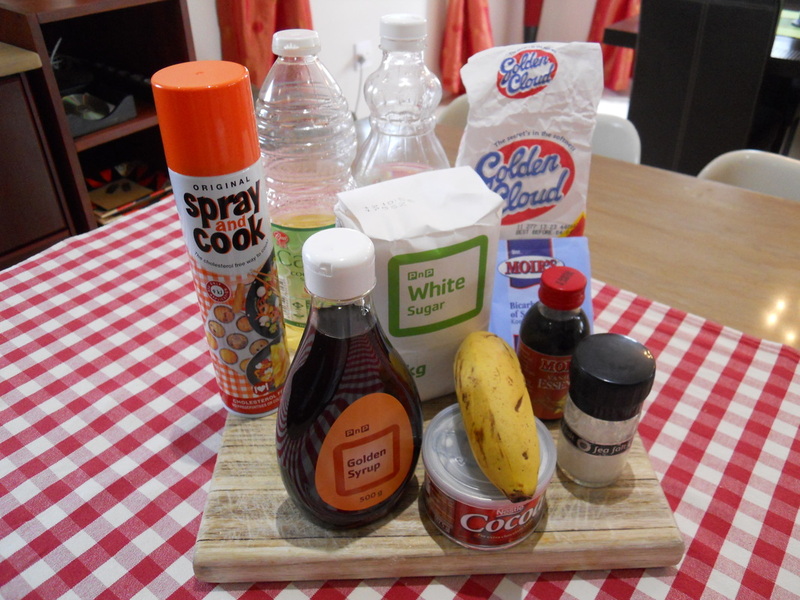 Mash the banana and mix with the syrup, add to the dry ingredients and mix well. Add the liquid ingredients mixing well while adding the cider vinegar last. 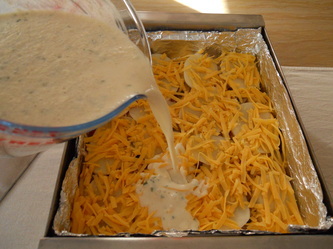 Pour the batter into a buttered/ Spray & Cook prepped baking tin. Place the baking tin in the braai bak on top of the drip tray and cover with the braai bak lid. Prep ± 25 Lrg Charka Brickets in your KSC Braai before placing the braai bak into the braai and spread evenly over the base of the braai. 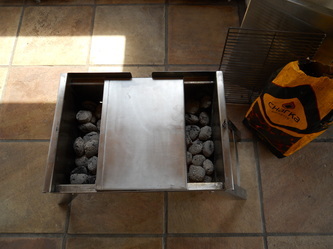 Place braai bak in the center of your KSC Braai and cover with braai lid leaving ± 1-2cm gap. 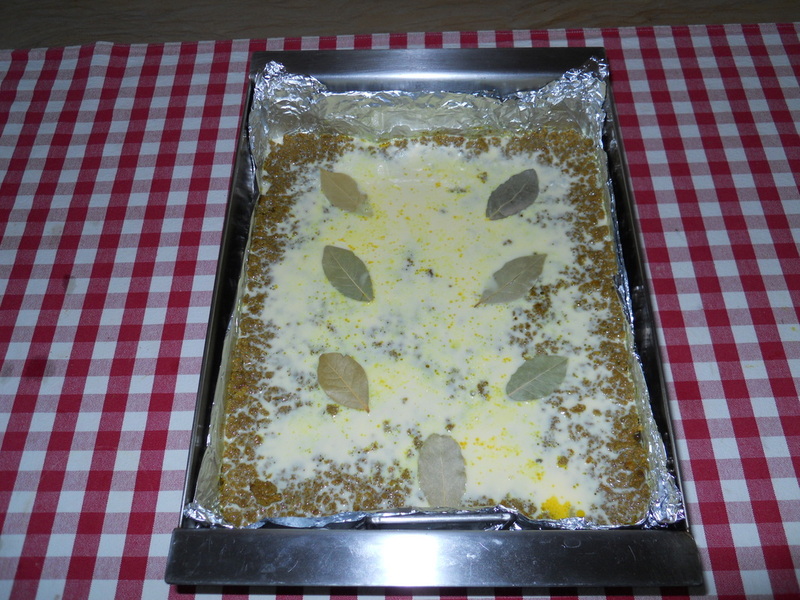 Have a look at the cake ± every 10 minutes to make sure that it isn't baking too fast. After approximately 30-35 minutes the cake should be ready. 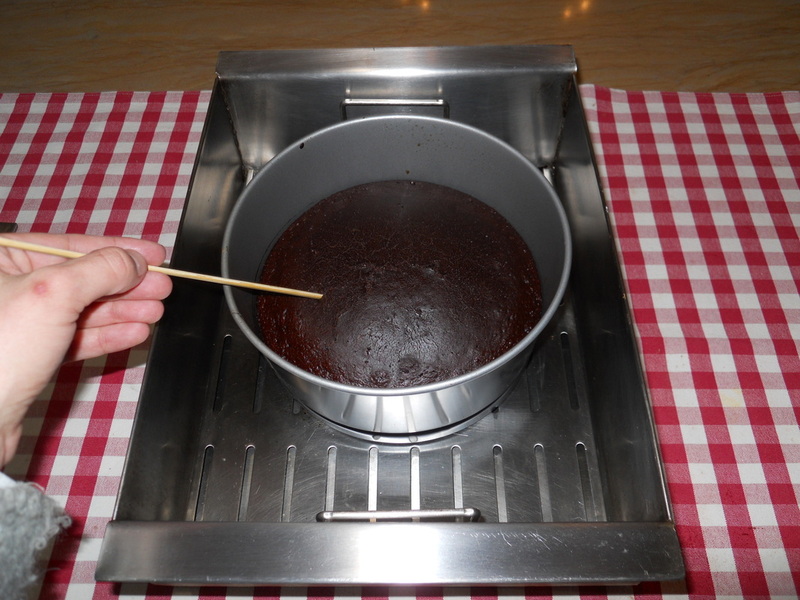 Test with a kebab stick or a knife, if it comes out clean your cake is ready. If it's not ready you can place it back in the braai for another ± 5 minutes. For more detailed photos with comments of this demonstration and the recipe's please follow the link to our Facebook Page. 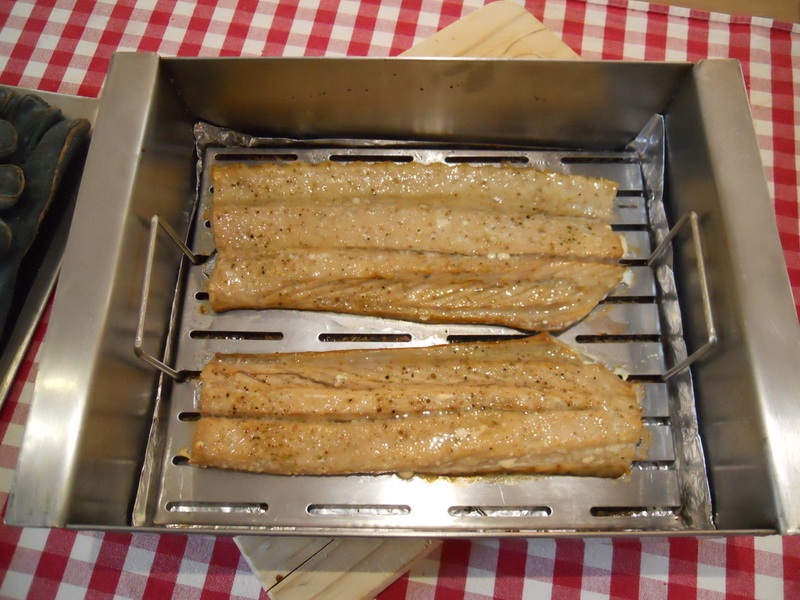 It's SUPER easy to make your own deliciously tasty and juicy smoked snoek in your KSC Braai & Braai Bak! You'll need 1 fresh Snoek, Vegetable Oil ( we used Canola Oil), Vinegar, your favourite Fish Spice (we used Ina Paarman's Green Onion Spice) and some wood shavings. 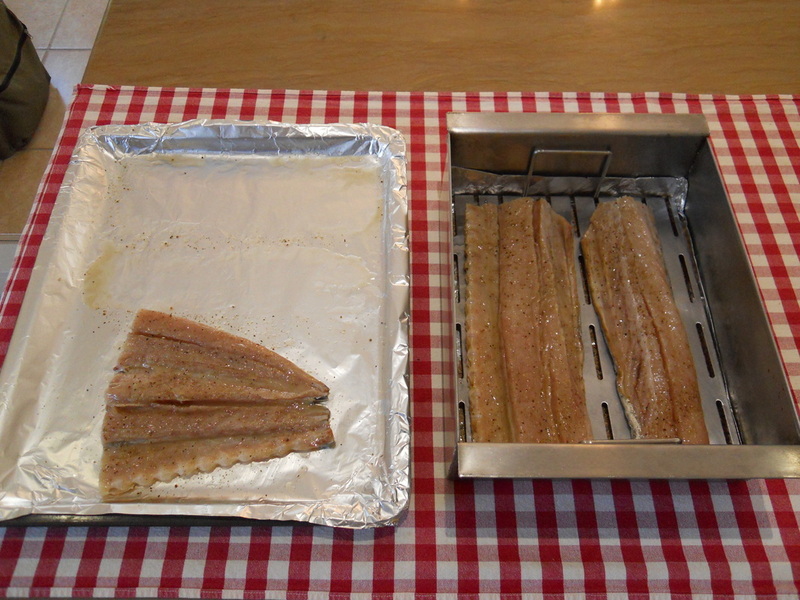 Please make sure that you buy a pre-salted Snoek and if not, salt and wash it off before smoking. 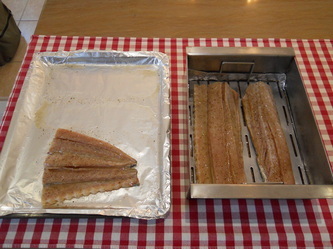 Cut the snoek into "braai bak sizes" so that it'll easily fit into your braai bak, baste snoek with an oil and vinegar mix (1 part vinegar & 8 parts oil well mixed) and pour on some fish spice. 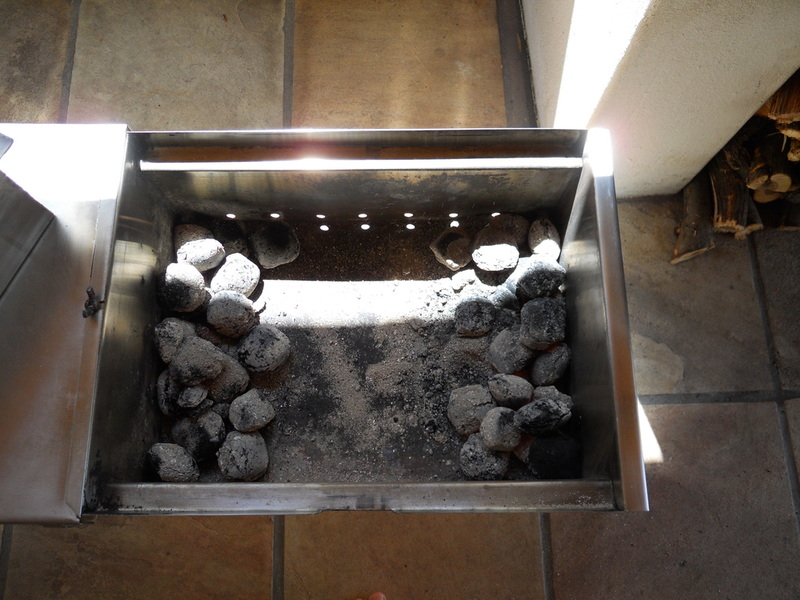 Place a sheet of tinfoil at the bottom of the braai bak, tol prevent the wood shavings from burning/ sticking to the braai bak due to the heat and fish juices dripping through the drip-tray. Evenly spread ± 4 table spoons of wood shavings over the base of the braai bak. 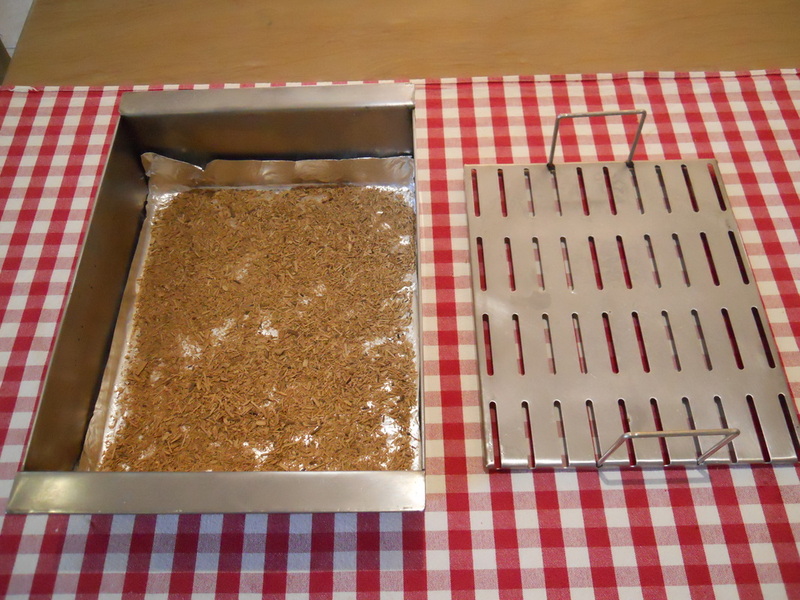 Spray the drip-tray with Spray & Cook to prevent the snoek from sticking to it and place the drip-tray over the wood shavings. 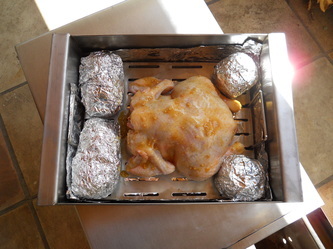 Place your snoek pieces on the drip-tray and cover with the braai bak lid. 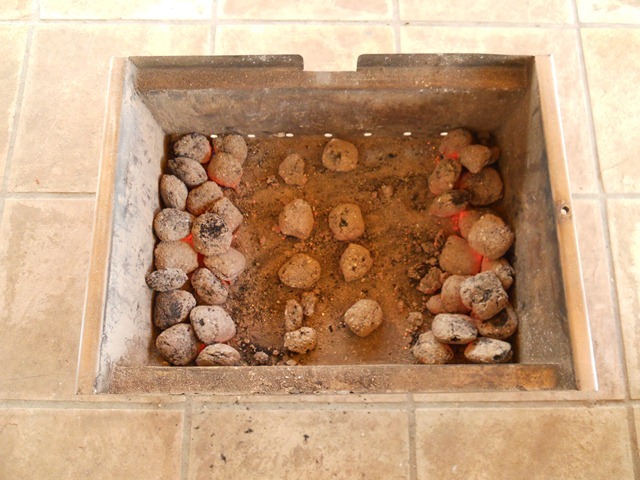 Prep your KSC Braai by preparing ± 20-25 large Charka brickets and by packing it in 4-5 rows of 4-5 brickets to the middle of the braai so that it's directly under and slightly to the side of the braai bak. 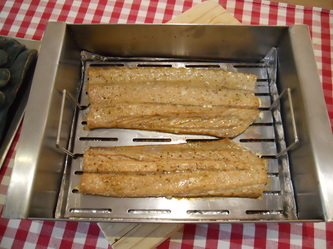 Place your braai bak in the middle of the braai and cover with the braai lid and leave to smoke for ± 25-30 minutes, depending on how thick the snoek pieces. To test if the snoek is cooked through, press with your finger on the thickest part of the snoek, if the meat gives/ breaks away the snoek is cooked. Serve with freshly baked bread & preserves. Potato Bake is versatile as a decadent side-dish or a delicious and filling main meal when spruced up with some extra filling bits. 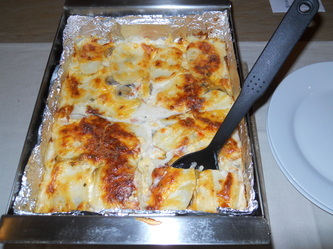 For the Potato Bake we used the following ingredients: 7 x Medium Potatoes, 1/2 Sliced Sweet Red/ Orange Pepper, 1/2 Sliced Onion, 2 x Sliced Smoked Chicken Breasts, Sliced 250g Punnet of Mushrooms, 250ml Grated Cheddar Cheese, 2 x Potato Bake Flavouring & 800ml Milk. 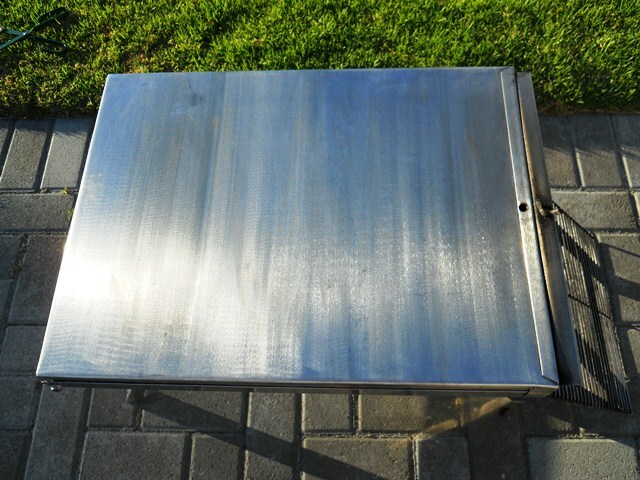 Prep your braai bak by folding a double layer of heavy duty tinfoil over the drip-tray and the sides of the braai bak and giving it a good spray with some Spray & Cook. Place a layer of thinly sliced potato slices on the base of the braai bak and follow with a layer of sliced peppers, mushrooms, onions & smoked chicken and repeat with another layer of potatoes and filling. 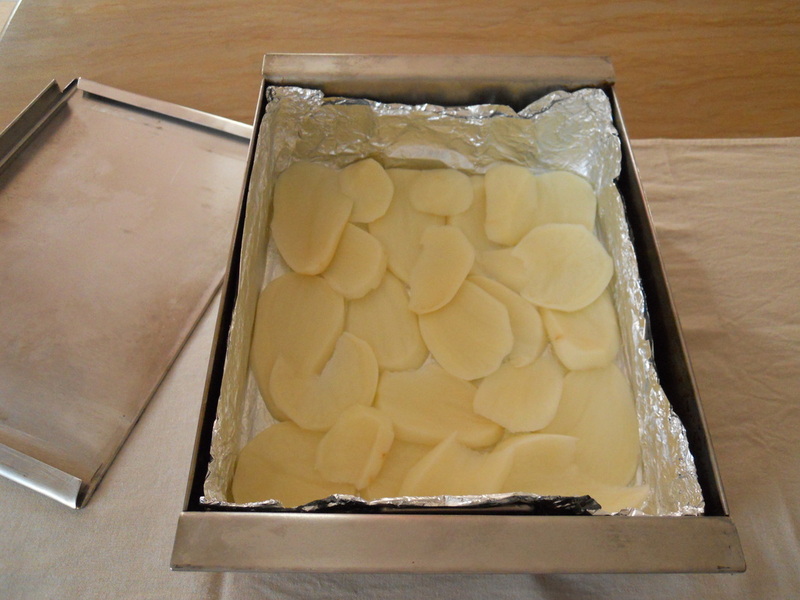 Tip - pre-cook your mushrooms or use tin mushrooms to prevent extra fluids which can make your potato bake soggy. Finish off with a final layer of potatoes and cover with grated cheese, you should have 3 layers of potato and 2 layers of filling. Pour over the potato bake flavouring and even out leaving the braai bak uncovered. 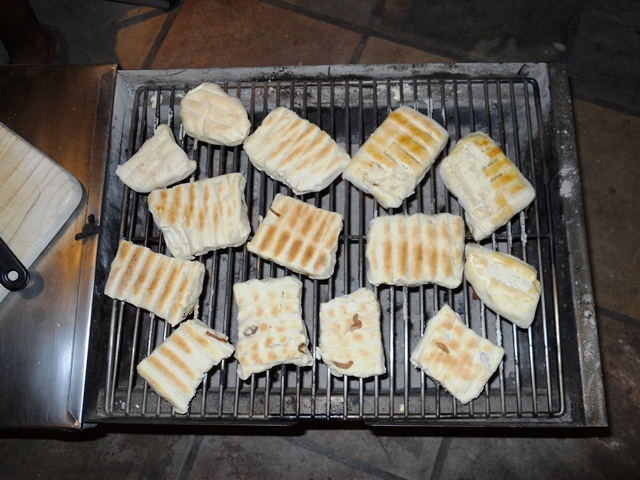 Pre-prepare your Charka brickets and place even amounts of Charka on the sides as well as ± 10 pieces directly under the braai bak. This ensures that the potato bake flavouring sets in the middle as well. 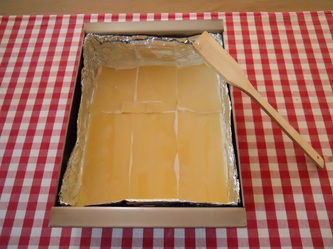 We used 50 large Charka brickets, use ± 70 if you are using smaller brickets. NB: This is also a handy method when making a Quiche & Sweetcorn Bake. 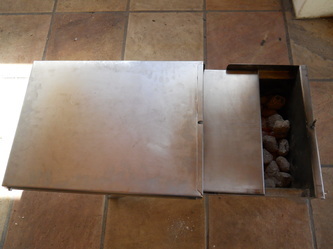 Place braai bak uncovered in your KSC Braai and cover with the braai lid and leave a ± 1-2cm gap open. Let the potato bake cook for ± 1 hour 15 minutes to 1 hour 30 minutes or until the flavour mix has cooked to the top and the top layer of potatoes are cooked through. The cooking time for this dish can be shortened by taking out a layer of filling & potatoes or by taking out the filling and only cooking the potatoes. 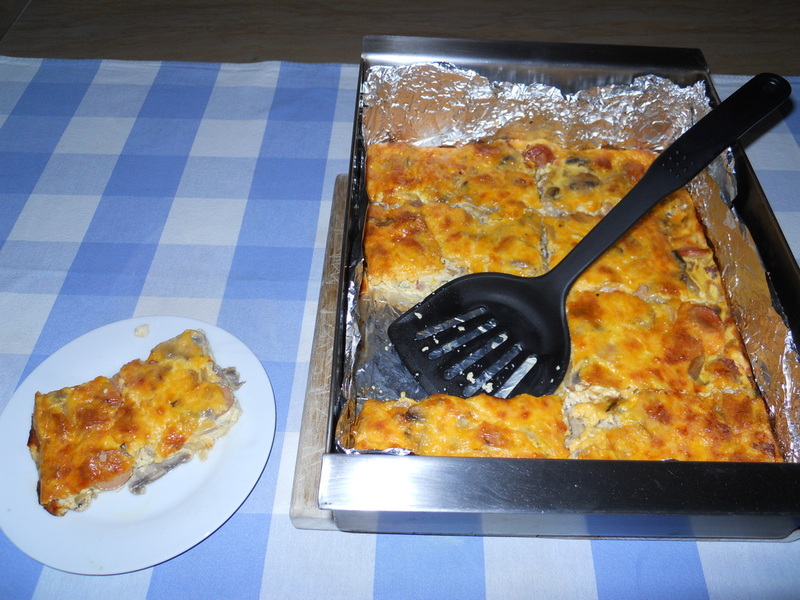 Leave the potato bake to stand for ± 10 minutes after taking it out of the KSC Braai and serve warm. 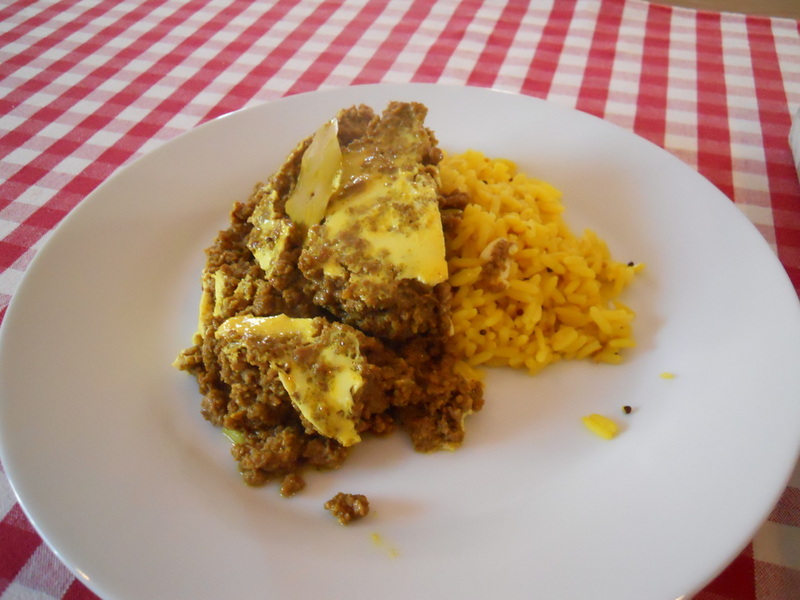 Beware - this dish is super moreish, so be sure to have a second helping ready! 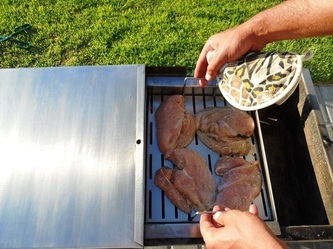 As promised, this month we show you yet another way to use your already SUPER versatile KSC Braai Set! Our cooking demo to kick off the New Year is Smoked Chicken Breasts. 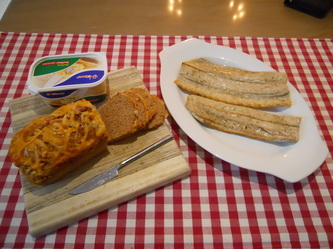 It's really quick, easy AND tasty! All you need is four Chicken Breasts, Olive Oil, Chicken Spice of your choice, Spray & Cook, Tinfoil and Wood Shavings. 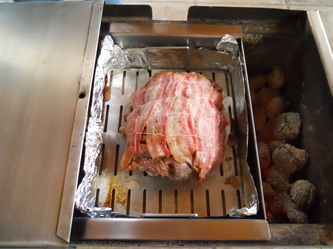 Line the bottom of your Braai Bak with a single layer of heavy duty tinfoil. 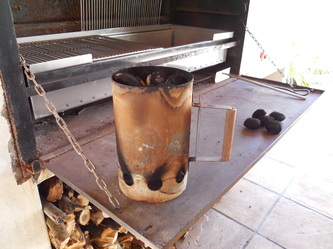 This is to prevent the juices from the chicken and wood shavings to burn to your braai bak while smoking. 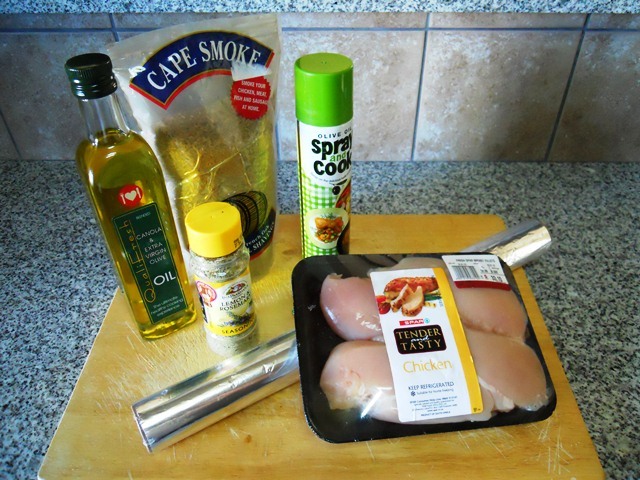 Pour some Olive Oil over the chicken breasts, add a bit of spice/ flavouring and rub into chicken breasts. 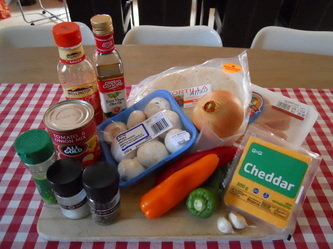 Don't add to much spice or flavouring as this might take away from the smoky taste and flavour of the chicken breasts. A Rosemary based spice/ flavouring tends to compliment a smoky taste and flavour quite well. 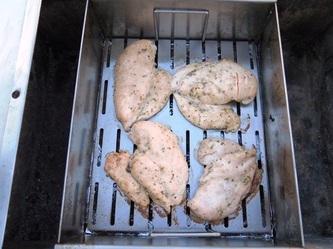 Spray the drip-tray with Spray & Cook and place your chicken breasts on top. 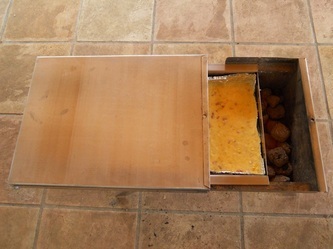 Prep your KSC Braai by preparing ± 20-25 large Charka brickets and by packing it in 4-5 rows of 5 brickets in the middle of the braai so that it's directly under and slightly to the side of the braai bak. 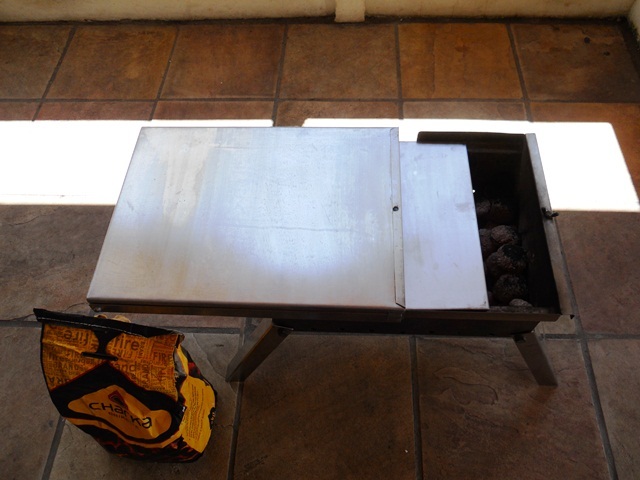 Place your empty braai bak into your KSC Braai and slide over the braai lid and leave to heat up the braai bak. 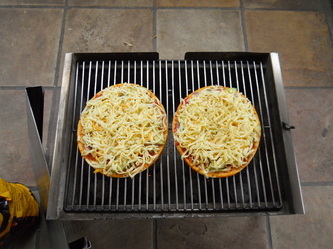 Test with a splash of water on the braai lid to see when the braai is hot enough. Once the braai & braai bak is hot enough cover the base of braai bak evenly with ± 3-4 heaped tablespoons of wood shavings. We used Genuine French Oak Wine Barrel Shavings which gives a light and subtle smokey taste and flavour to the chicken breasts. 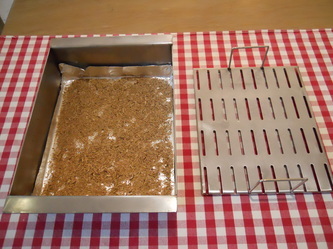 Place the drip-tray with the chicken breast in your braai bak over the wood shavings. Cover with the braai lid and leave to smoke for 25-30 minutes. Do not open in-between to prevent releasing the smoke. After the smoking period test the chicken breasts at the thickest parts to ensure that it's cooked through. And there you have it, tender and juicy smoked chicken breasts! Serve with a crisp salad, in a salad on rolls/ sandwiches or enjoy it on its own - it's good enough to. 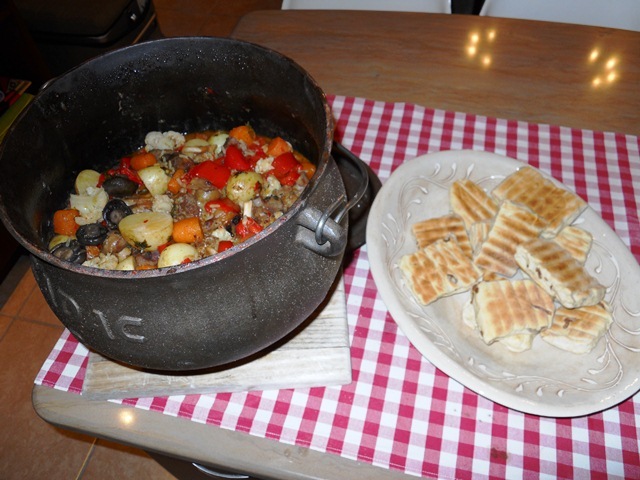 _What can be more festive and social than a LEKKER Christmas or New Year’s Potjie with home-made Rooster Koeke when on the road 4x4-ing or camping? Our cooking demo for December is just that, a simple but SUPER tasty Lamb Knuckle & Vegetable Potjie (compliments to Ina Paarman) and SUPER easy home-made Rooster Koeke with Caramelized Onions. 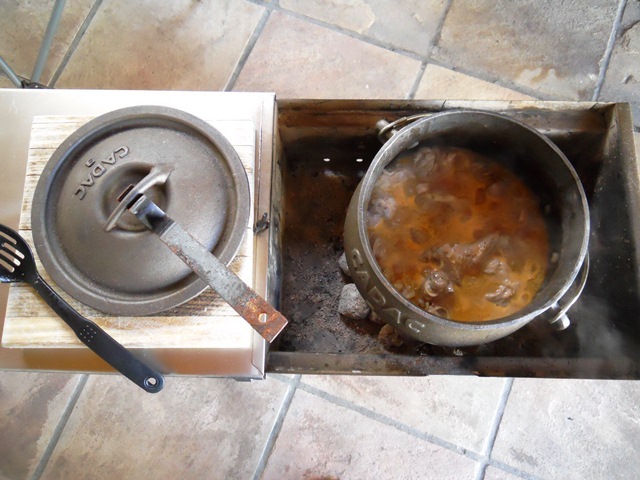 A No3 Potjie easily fits inside your KSC Braai, we don't recommend a larger size standing pot as it doesn't leave enough space around the pot to maneuver your coals. Set-up your KSC Braai with lid extended as table section and prepare ± 20-25 lrg Charka brickets, you'll need 35-40 if you're using smaller brickets. 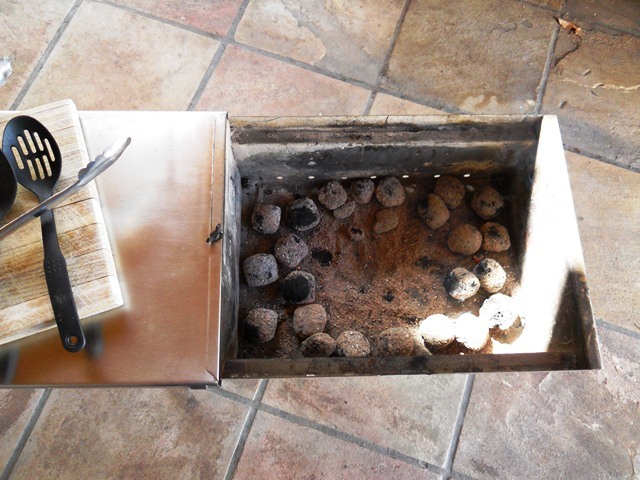 Once ready spread the brickets in a circular manner and place a No3 potjie in the middle of your KSC Braai and start cooking! 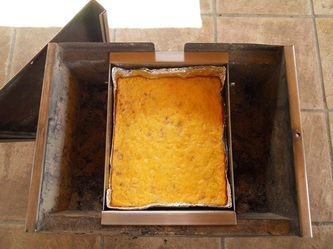 After browning your meat and before the normal 1 and a half hours of the meat cooking on its own, add another 10-15 ready brickets to "carry it through" to when the vegetables needs to be added. 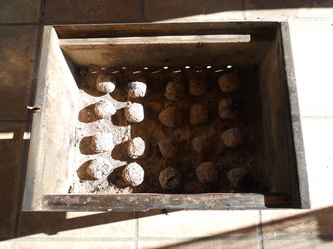 Have a look every 30 minutes to make sure that your potjie is cooking at the correct speed and to test the tenderness of your meat. 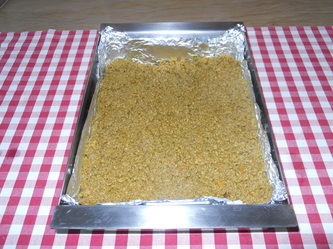 Add another ± 10 brickets once you've added your vegetables for the final cooking period of ± 40-45 minutes. Once the potjie is done, immediately spread the remaining coals evenly in the base of your KSC Braai. If it's a bit cool you can add another ± 6-8 brickets. 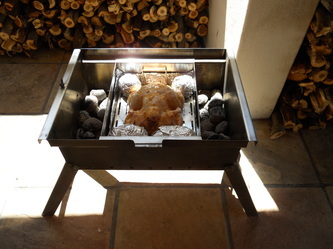 Place the rooster koeke on the standard flat grid and braai over a medium to high heat for ± 15 minutes. Once nicely browned with a "hollow sound" when tapping your rooster koeke is ready! 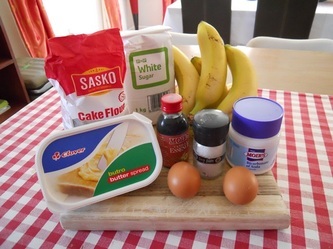 Who would've thought that Banana Bread or Banana Muffins could be part of your Camping/ 4x4 Menu and nogal baked in a BRAAI? No smoky smell or taste, it's like it was baked in your own oven! This month we stepped it up a bit by baking a banana bread as well as banana muffins with the same recipe! The recipe is really quick and easy, no fancy utensils and only a small amount of ingredients! For this "we-know-you'll-love-it" recipe you need: 4 Banana's (the riper the better), 80ml Melted Butter, 1 Cup of Sugar, 1 Egg Beaten, 1 Teaspoon Vanilla, 1 Teaspoon Baking Soda, 375ml Cake Flour and a Pinch of Salt. Mash the banana's to a pulp and mix in the melted butter. Add the sugar, beaten egg and vanilla and mix. Sprinkle the baking soda and pinch of salt and mix. Add the flour last and mix in well. 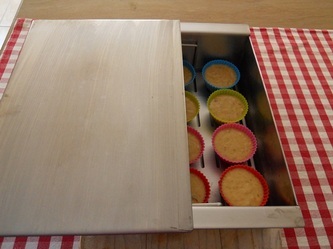 Prepare the baking pan & muffin cups by spraying it with Spray & Cook. Pour the mixture into either the baking pan or muffin cups. 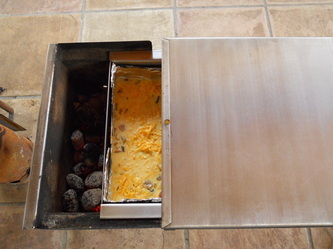 Leave the drip-tray inside the braai bake and place the baking pan or muffin cups on top of the drip-tray. The recipe produces enough mixture to fill one 20cm x 10cm baking pan OR 12 muffin cups. 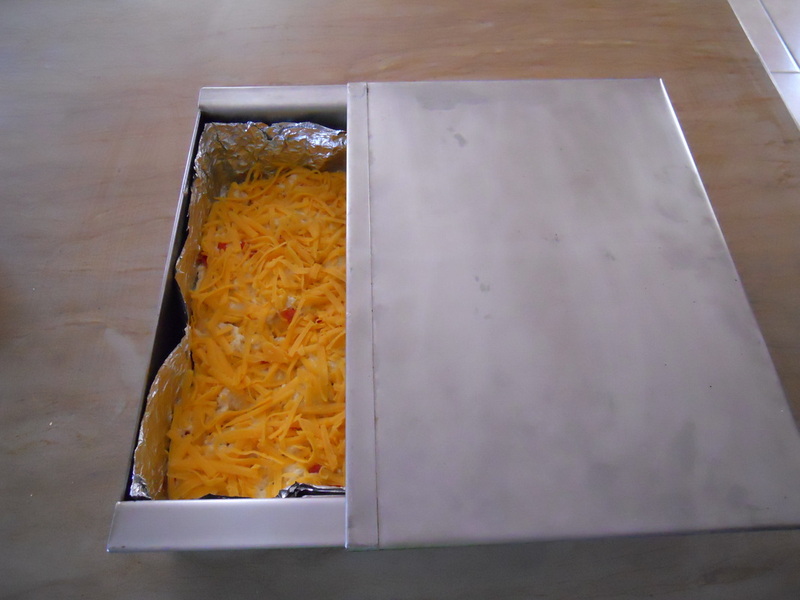 Cover the baking pan or muffin cups with the braai bak lid. Prep your KSC Braai with ± 40-45 large Charka brickets (depending on the outdoor temp), by placing equal amounts on either side of the braai. Please use 60-70 brickets if you are using smaller charcoal brickets. Place the braai bak with the baking pan/ muffin cups in the middle of your KSC Braai and cover with the braai lid as well. Leaving a 1-2cm gap for ventilation. Leave the bread to bake for 1 hour and the muffins for 45-50 minutes. 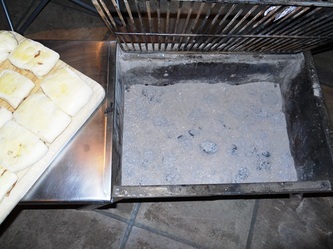 After 1 hour test to see if the bread has cooked through (still inside the braai bak), if its ready leave to stand for another 10-15 minutes, OR after 45-50 minutes test to see if the muffins has cooked through (still inside the braai bak), if it's ready leave to stand for another 10 minutes. After the standing time take the bread and muffins out of the baking pan/ cups and serve with butter and condiments. 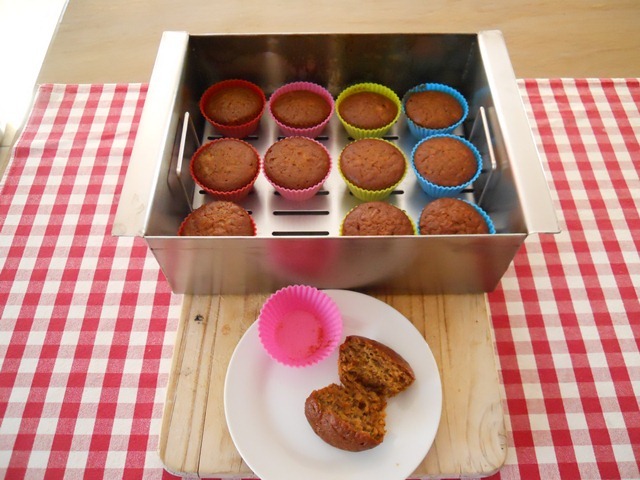 Banana Bread and/ or Banana Muffins are super yummy, easy to make, keeps well AND your family will LOVE you for this delicious treat on your next camping/ 4x4 holiday! For more detailed photos with comments of this demonstration please follow the link to our Facebook Page . To make these VERY easy and VERY yummy pizza's you'll need the following basics: Today Pizza Bases (4 in a pack) Mozzarella Cheese, Cheddar Cheese, Italian Herb and a Tomato and Onion or just Tomato relish. When it comes to the toppings you can play around with your own favourite combinations. 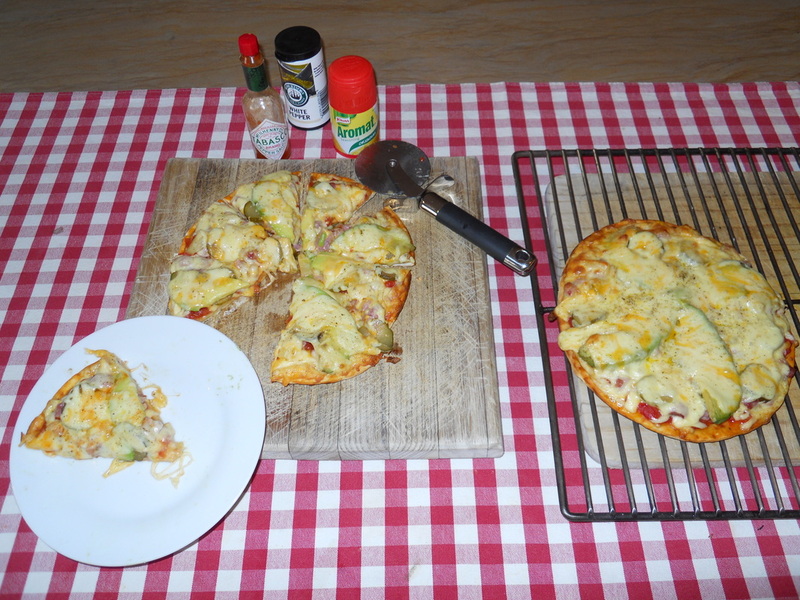 We made Caribbean Pizza's for this demo by topping it with Bacon, Pineapple, Gherkin and Avo! Make sure that your pizza bases are completely defrosted when you start putting on your toppings. We tested this demo with a few pre-made pizza bases and found the Today Bases to work the best, best = nice browning and crisping without drying out of the bases. It's also easy to store in your camp fridge. Cover the pizza bases with your tomato relish, add your toppings and put on a bit of Cheddar Cheese, for extra flavour, with the Mozzarella Cheese as the Mozzarella on its own can be a bit bland and finish off with a pinch of Italian Herb. 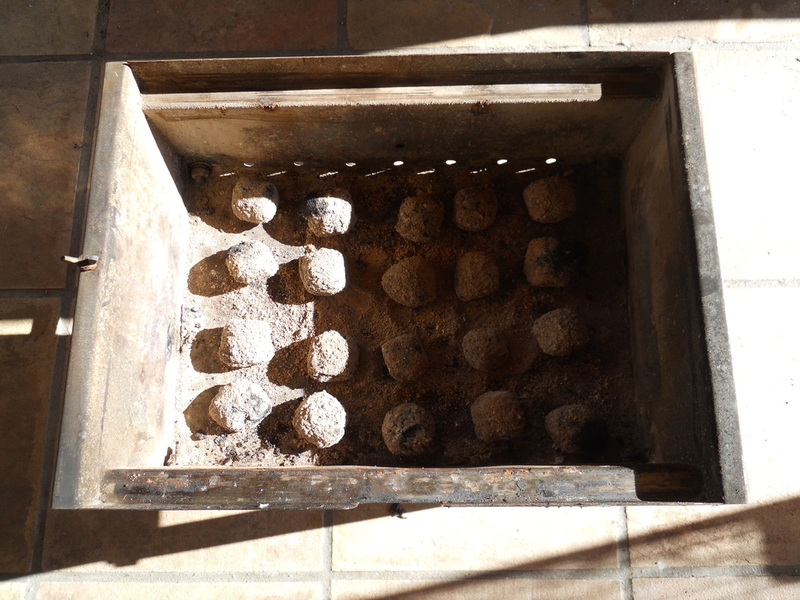 Prep your braai with ± 16-20 large Charka brickets (depending on the outdoor temp), by placing them in rows of 4 or 5. 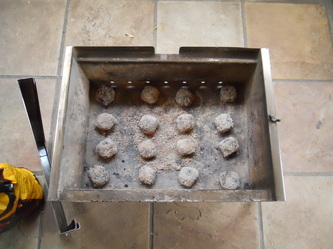 Please use 24-28 brickets if you are using smaller charcoal brickets.Place your pizza's on the braai and cover the pizza's by placing the braai lid ON TOP of your KSC Braai. NB: Please don't slide the lid on as there isn't enough space between the lid and the grid level. Leave to bake for ± 20 minutes ... and your pizza's are ready. Tip: Have another ± 6-8 large brickets (or ± 10 small brickets) ready to add to your braai if you want to cook another round of pizza's directly after! 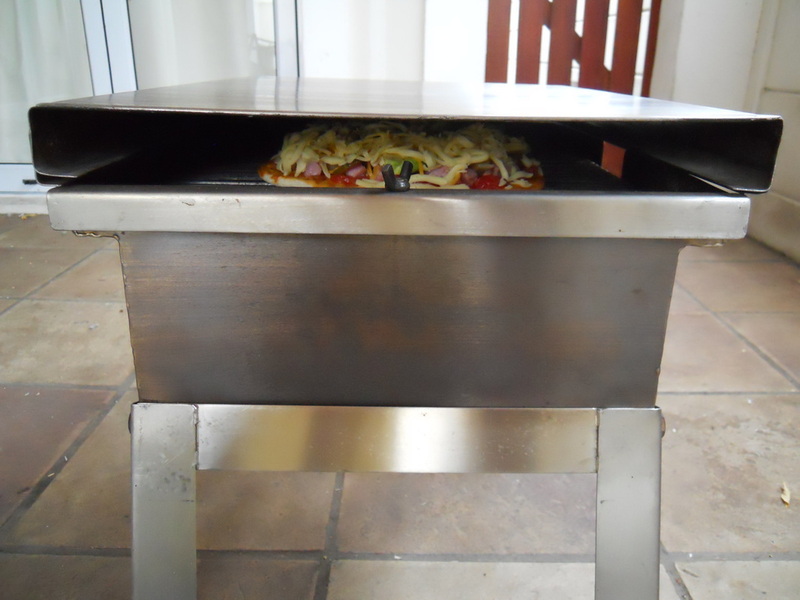 Pizzas are great for a lunch stop, to change up your menu on a long camping or 4x4 holiday, to serve as starters before a braai OR to satisfy young taste buds! For more detailed photos with comments of this demonstration please follow the link our Facebook Page . I found this Sweetcorn Bake recipe on the internet a year or two ago and it quickly became a family favourite! It's great as a braai side dish or even as a light meal with a crispy salad. 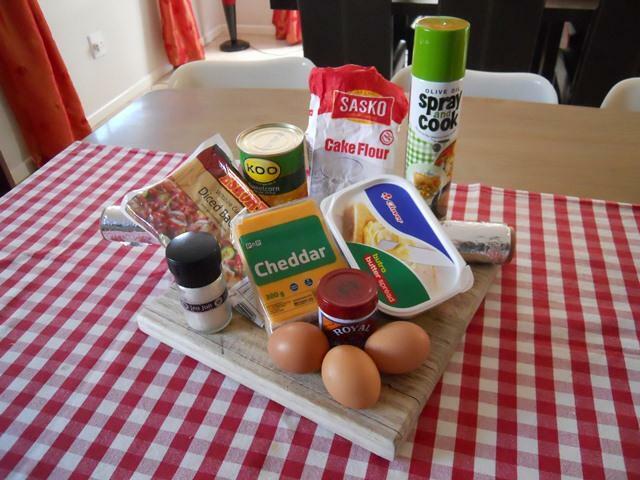 All you need is: 1 x Tin 420g Sweetcorn, 3 Extra Large Eggs, 15ml Baking Powder, 60 ml Cake Flour, 60ml Melted Butter, 250g Chopped Bacon and 250ml Cheese (1 cup) and a pinch of Salt. Please note, we doubled up on this recipe for the cooking demo. To prepare your braai bak, leave the drip-tray inside the bak and fold the bak out with a double layer of heavy weight tinfoil and spray generously with Spray & Cook and your braai bak is ready for cooking. 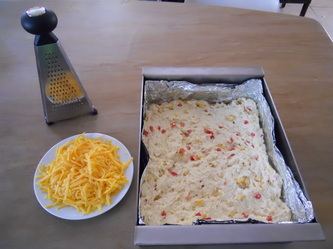 Mix the ingredients together thoroughly and pour the Sweetcorn Bake mix into your prepped braai bak. 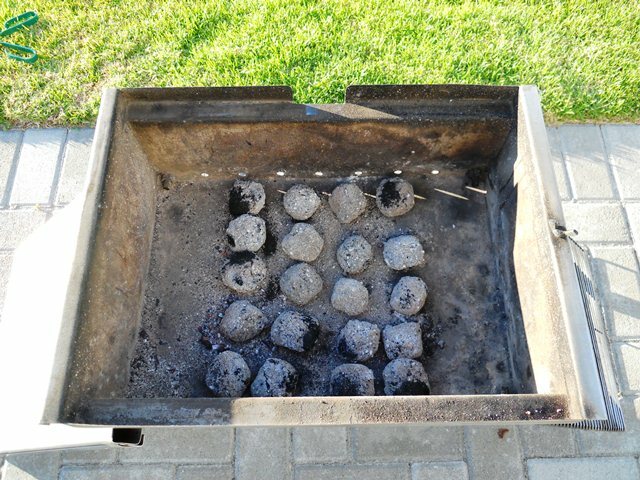 Pre-prepare your Charka brickets and place even amounts of Charka on the sides as well as ± 10 pieces directly under the braai bak. This ensures that the egg mixture sets in the middle as well. 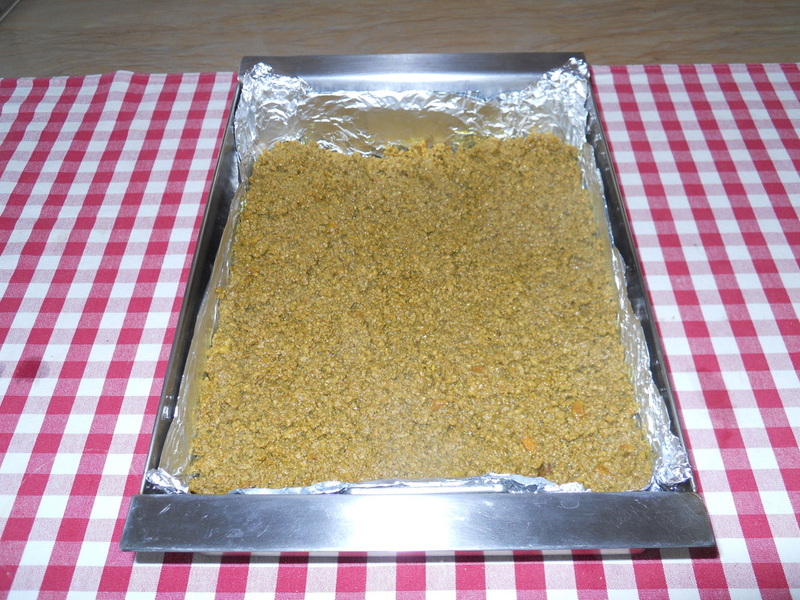 We used 50 large Charka brickets, use ± 70 if you are using smaller brickets. NB: This is also a handy method when making a Quiche. Place braai bak inside the KSC Braai without the braai bak lid, cover with the braai lid and leave a ± 1-2cm gap open. 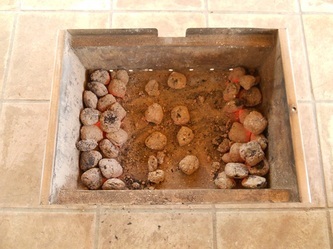 After 30-40 minutes move the remaining brickets on the side of the braai bak under the bak to assist with setting in middle of the Sweetcorn bake. 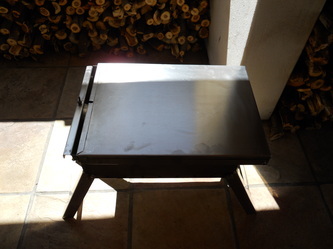 Cover with the braai lid again and leave for another 20-30 minutes to bake. 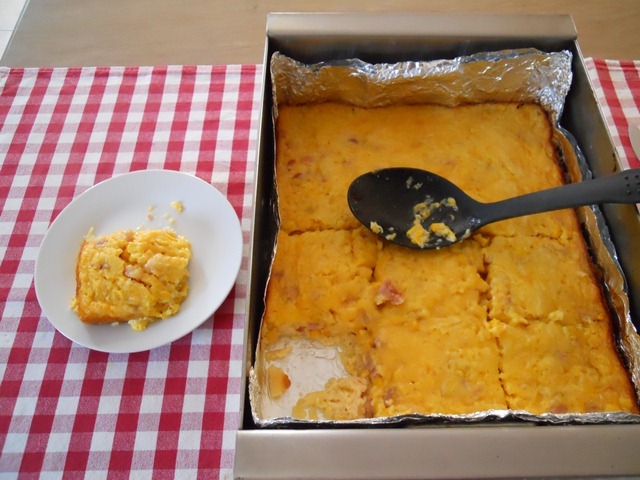 After a total cooking time of 1 hour, your Sweetcorn Bake should be ready to take out of your KSC Braai. 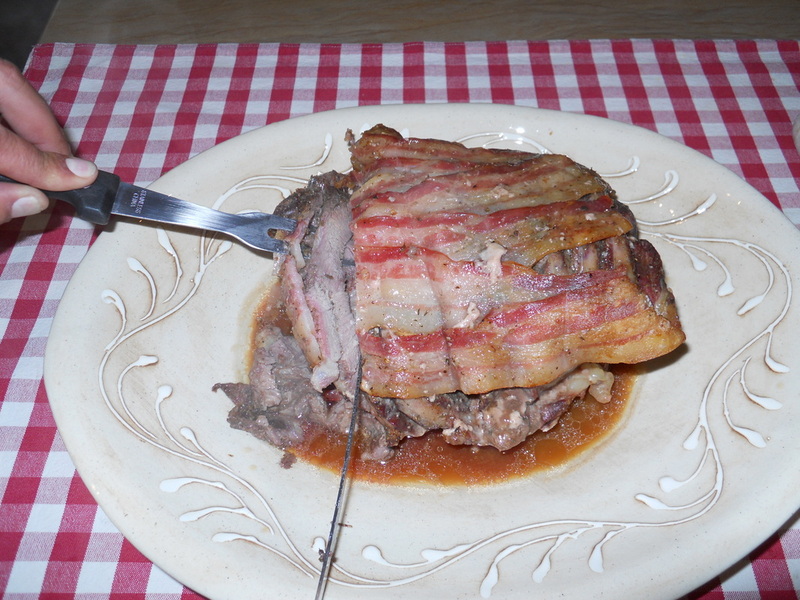 Leave to rest for ± 10-15 minutes, divide into portions and serve warm or cold, it's good either way! 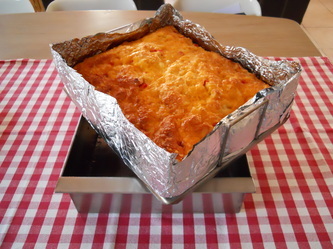 We doubled up on the recipe ingredients to make a thicker Sweetcorn bake and to serve more people. 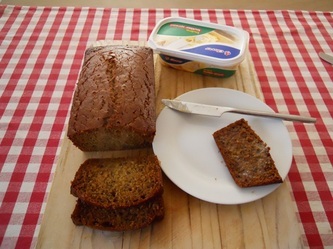 The single recipe ingredients just about cover's the bottom of the Braai Bak and didn't make for thick slices, but was just as good and could still serve 4 people. One advantage of the single recipe ingredients is that it cooks in half the time of a doubled up recipe. 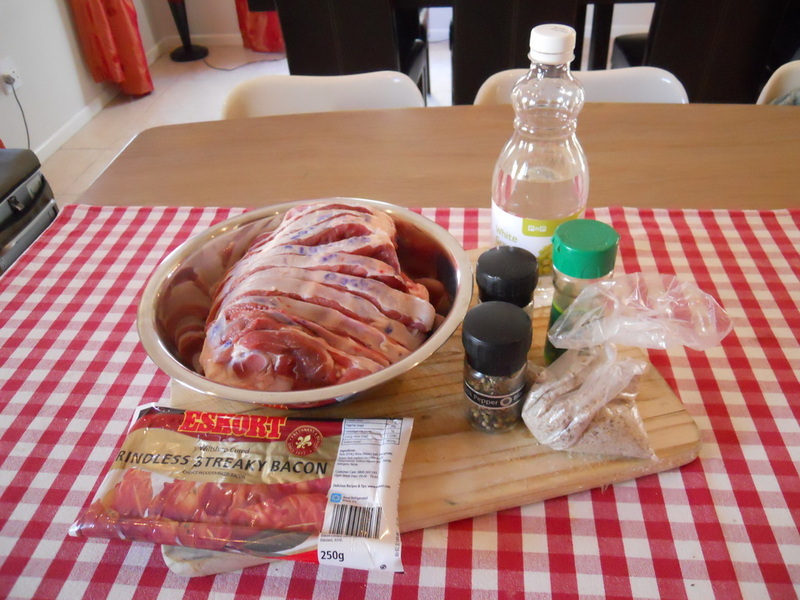 All you need for this delicious and VERY easy meal is; 1.5-2kg Leg of Lamb, Herbs, Spices, Salt, Pepper, Streaky Bacon, Vinegar and String! Place ± 6-7 pieces of bacon (or as many as needed to cover top part of lamb) over the lamb and tie tightly with string. Rub with some vinegar and leave to rest for 5 hours. To prepare your braai bak, take a double folded piece of heavyweight tinfoil and fold it under the drip tray. 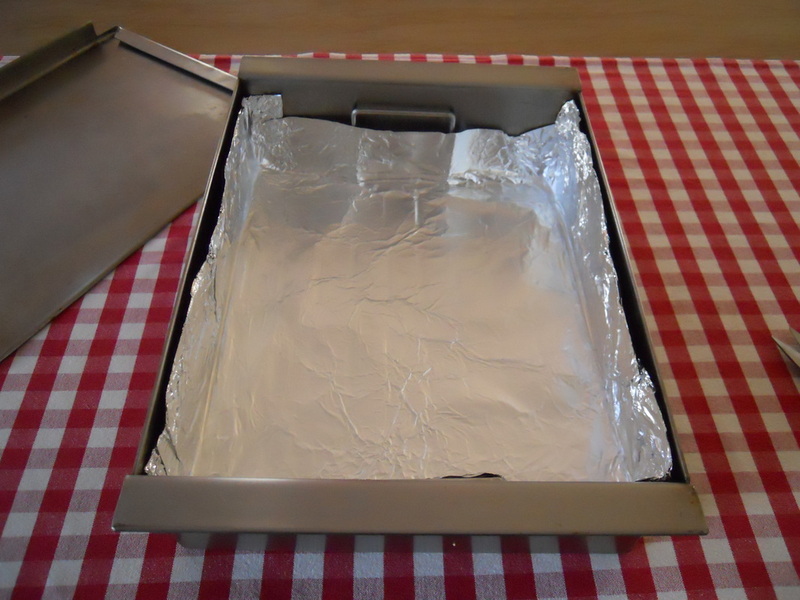 Fold all the corners upwards to form a bowl around the tray and place the tinfoil and tray inside the braai bak without tearing the tinfoil. After 5 hours put the rested lamb inside the braai bak. Prepare ± 45-50 large Charka brickets and place on sides of the KSC Braai. If you have small brickets 65-70 should be sufficient. 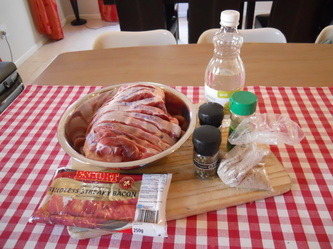 Place lamb inside braai for 1 hour 30 to 2 hours, depending on size of your leg of lamb and cover with the KSC Braai lid. If you are worried about the lamb drying out/ crisping too early due to excessive heat - you can place the lamb inside the KSC Braai with the braai bak's lid on as well, for the first 30 minutes of cooking and let it roast without it for the last hour to 1 hour 30. After the required cooking time, remove the lamb from your KSC Braai, cut the string and place the cooked lamb in a serving dish. Take the drip tray out of the braai bak, leaving the tinfoil with lamb cooking juices behind. 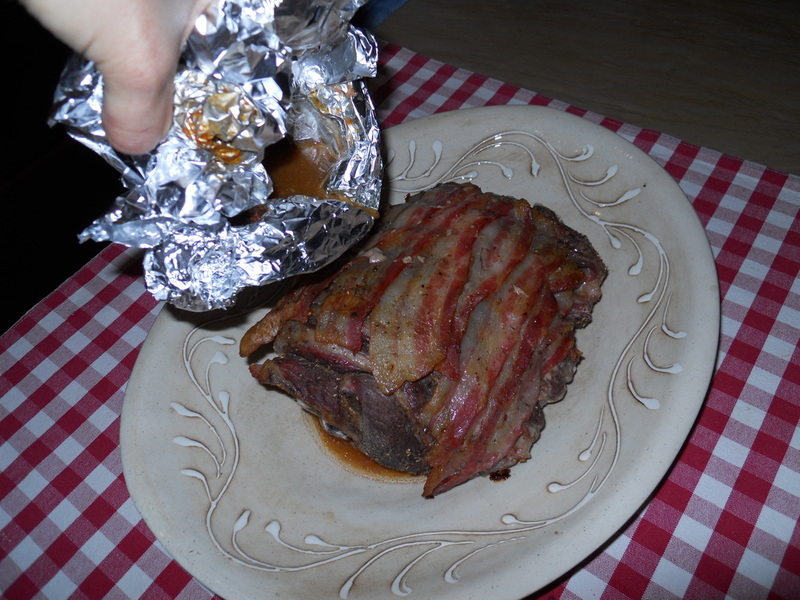 Fold the tinfoil into a cup and pour over the lamb to get soaked up by the meat or keep aside to use as a gravy. 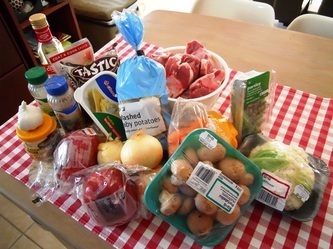 Carve the lamb and serve with vegetables and salad! We used some of the lamb cooking juices to make a lovely mushroom and port gravy, it was absolutely divine! 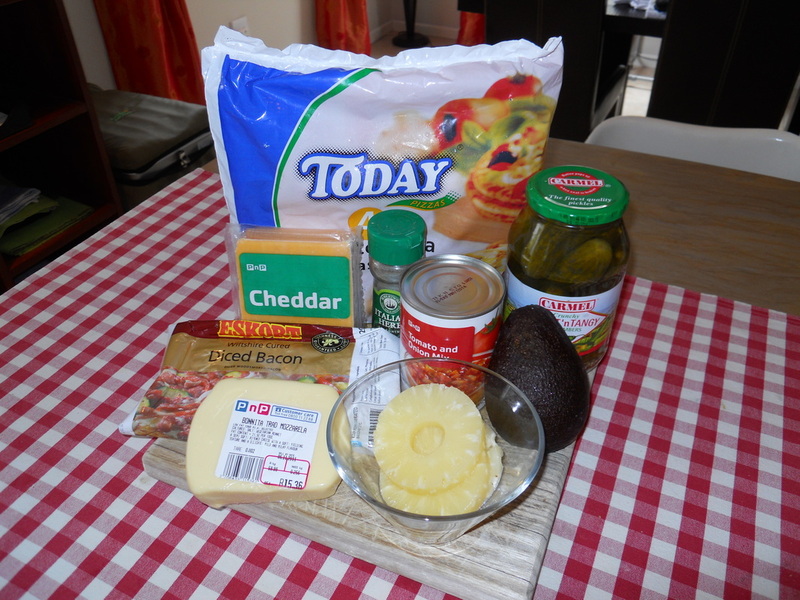 Quiche is a quick and easy way to stretch your available ingredients and feed a few hungry mouths quickly AND it's also a great way to recycle the previous night's braai left-overs! 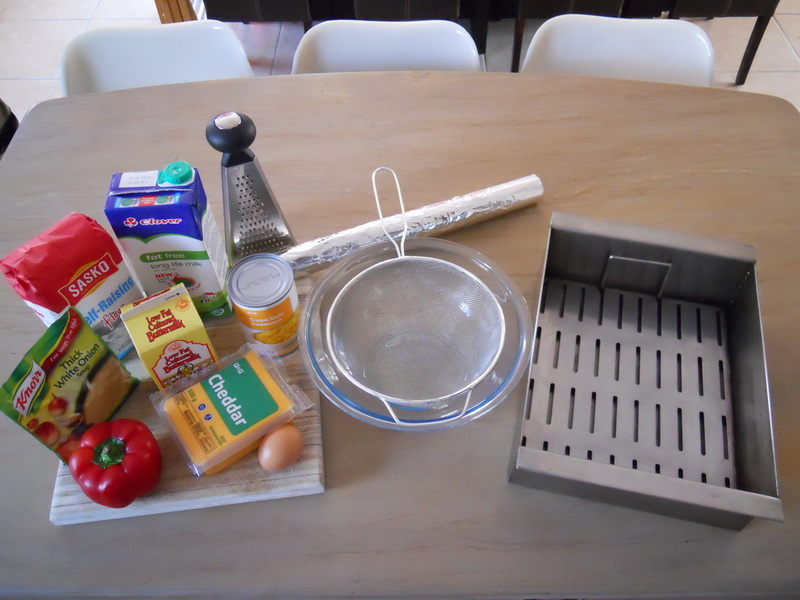 For this cooking demo we used a simple easy recipe for you to try out and change or improve according to your own taste. 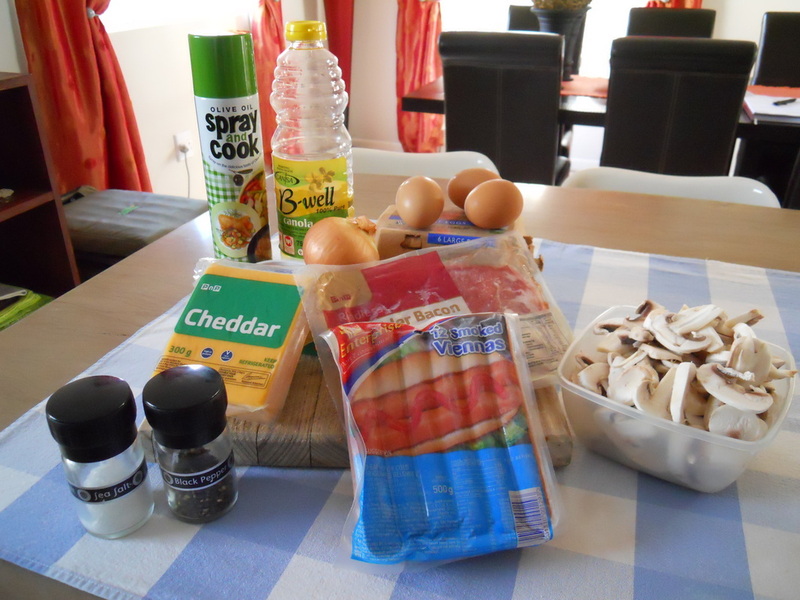 Ingredients as follow: 8 Large eggs, Half a packet of bacon chopped, 3-4 vienna’s sliced, 1 Punnet of white mushrooms sliced, 2 Cups of grated cheddar cheese, 200ml Full cream milk, 1 Medium onion sliced, Salt & Pepper to taste and Cooking oil. 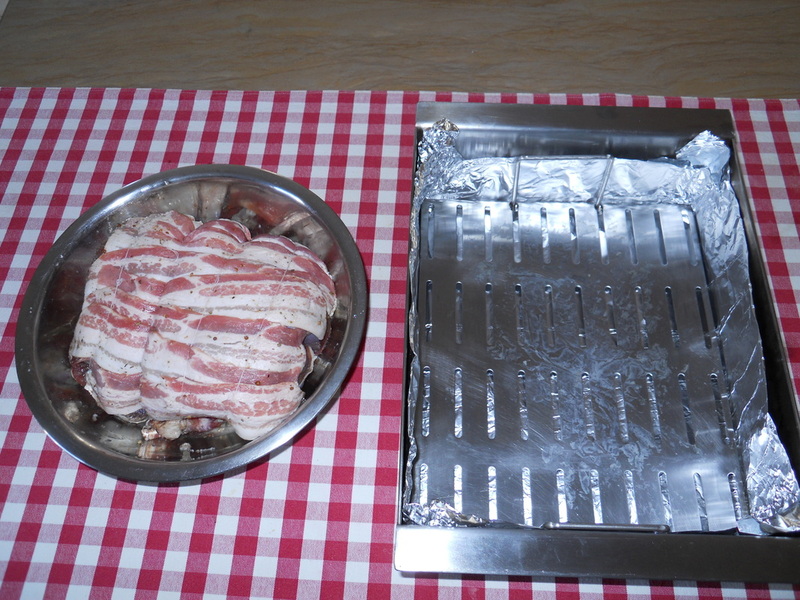 Prep your braai bak with a double layer of heavy weight tinfoil and spray with Spray & Cook. Prepare the bacon, onion, vienna's and mushrooms together in a separate pan and add some salt & pepper to taste. 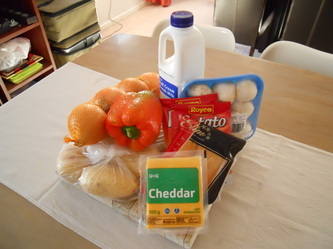 Wisk the 8 eggs and milk together and add some salt & pepper and grate ± 2 cups of cheddar cheese. Start by placing the meat mixture in the braai bak, spreading it evenly so that the entire base of the braai bak is covered. 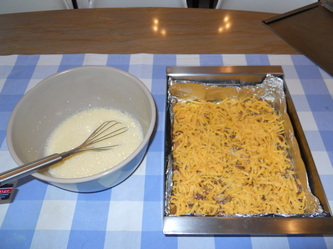 Then covering the meat mixture with the grated cheese evenly until all the cheese has been used. 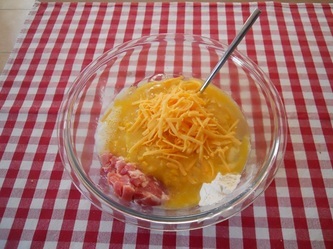 Ensure that the eggs and milk has been mixed thoroughly and gently pour the egg and milk mix over the meat and cheese. Place the braai bak, WITHOUT the braai bak lid, inside pre-prepared KSC Braai. 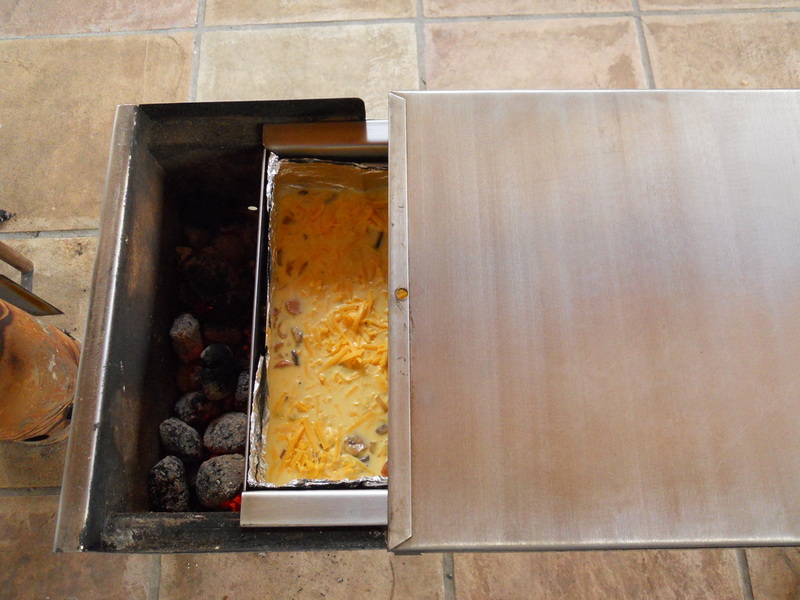 You can push some (± 6-8) of the brickets under the braai bak to assist with the quiche mix cooking evenly in the middle. We used ± 45 lrg Charka brickets, please use ± 60-65 brickets if you are using small brickets.Cover the braai bak with the braai lid and leave a ± 2cm gap open. 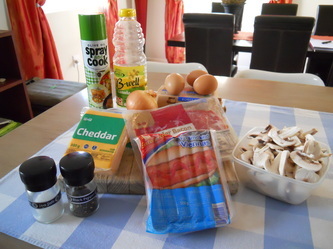 The quiche will need ± 35-45 minutes to set and cook through. Test the middle section with a kebab stick to see if the mixture is cooked all the way through. 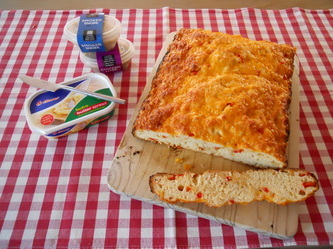 You can serve the quiche on its own, as a filling in 'n bun (easy way for kids to eat) or on toast with some extra's. A great idea is to make this breakfast on the last day of your camping/ 4x4 trip and to use all the left over braaied meat in your fridge instead of opening a pack of bacon and vienna's. 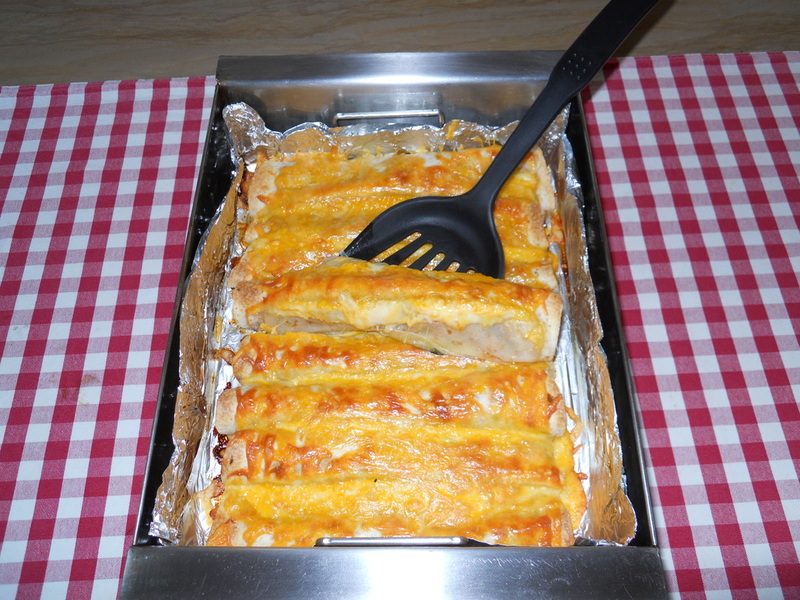 Enchilada's is a great way to recycle some left over braai meat, boerewors and chicken AND a easy way to serve something different on those long over-landing/ camping trips. Most of the ingredients needed to make this dish is already part of the "hardy" camper or 4x4-er's must have groceries. You can easily swop the fresh mushrooms for tinned ones, the fresh garlic for crushed garlic and the fresh peppers for marinated peppers or relish. The only new extra is the tortilla's/ wraps which can be frozen and easily slid into the side of your camping fridge without taking up any extra space. To cook we follow the standard procedure of keeping the driptray inside the braai bak and lining it out with heavy duty tinfoil. Take a long piece of tinfoil - double the length of the braai bak, fold it double and start folding it out in the braai bak. Once completely folded out, spray a good layer of Spray & Cook all over the tinfoiled area. 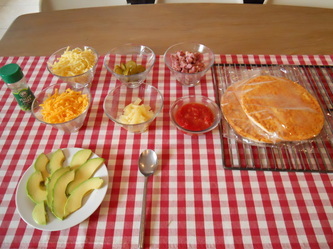 Place your pre-prepared Enchilada mix, your tortillas and braai bak close to each other to prevent messing. Scoop a good helping of your Enchilada mix on the tortilla and roll tightly. 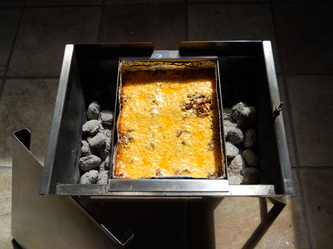 Place the Enchilada width-wise in the braai bak and repeat. Please don't place your Enchilada's length-wise as it will burn on the sides. Please note that there are different sizes of tortilla's available on the market. We used medium sized tortillas (usually 6-8 in a pack) in order to fill the braai bak width-wise. 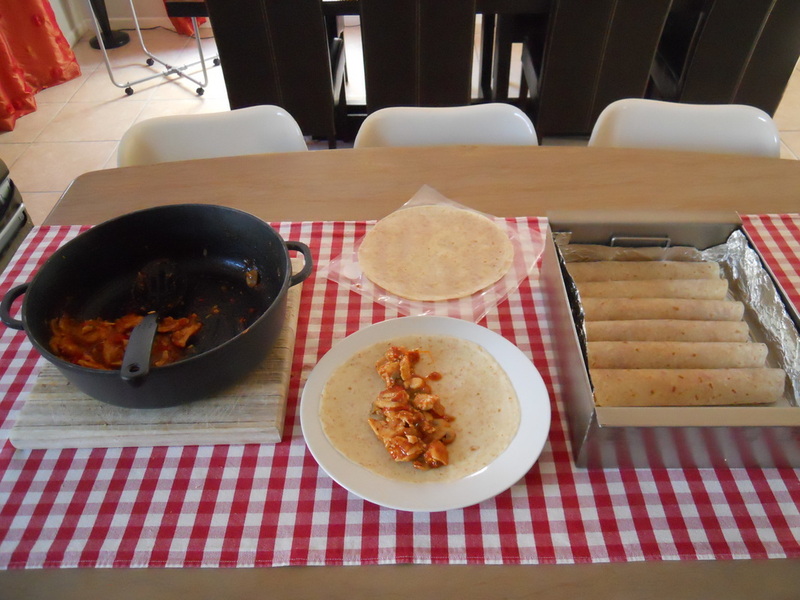 The Anat's wraps/ tortillas and similar sized tortillas are too big to fit into the braai bak width-wise. Repeat until the braai bak is full of Enchilada's. 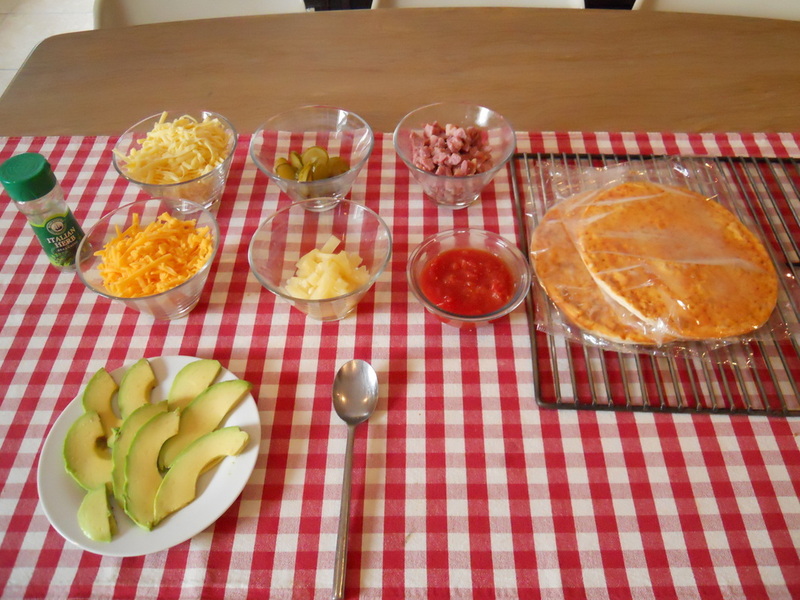 The braai bak should take up to 8 rolled tortillas depending on the amount of filling placed in each tortilla. Cover the Enchilada's generously with cheese and cover the braai bak with it's lid. Place your pre-prepared Charka into your KSC Braai, equal amounts of Charka on each side. 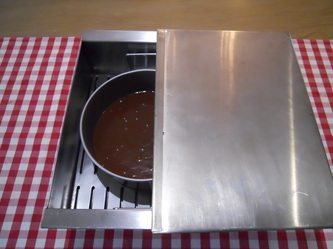 We used ±40-45 large Charka Brickets for this demo, please use ± 60-65 brickets if you are using small brickets. 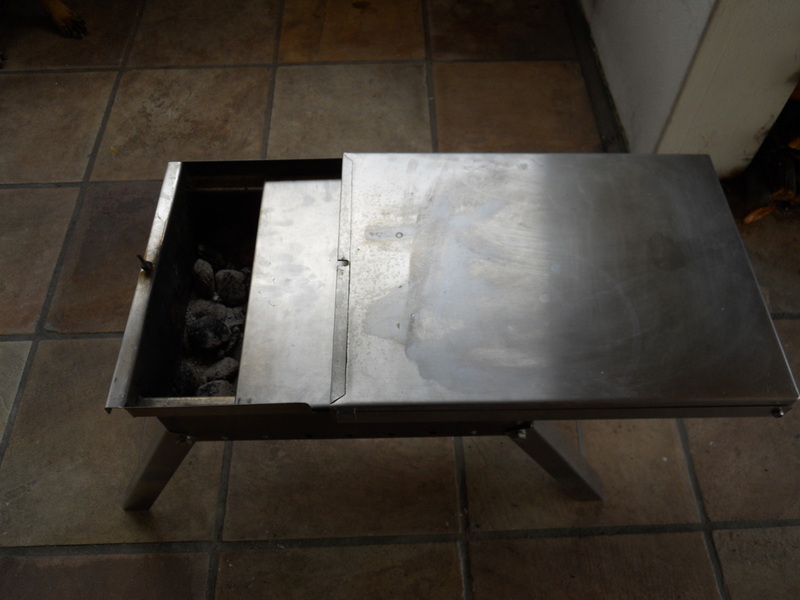 Place your closed braai bak in the middle of the KSC Braai and slide the braai lid over as well Leaving a 2cm gap. 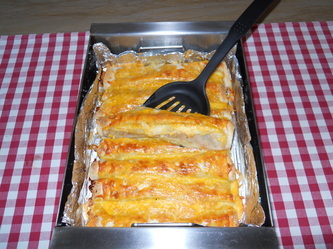 Let the Enchilada's bake for ± 30-35 minutes. Optional - grill the Enchilada's with the KSC Braai lid, but without the braai bak lid for another 10 minutes to grill the cheese topping. And voila! Serve warm with a side dish of salad or just on it's own. Be warned, it's seriously moreish. You can make 8 Enchilada's in our braai bak which can either serve 8 people as a starter/ snack or 4-6 people as a main course with a side dish. 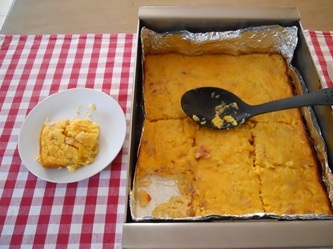 Warm up your winter camping or 4x4 menu with a true South-African favourite - Bobotie! For this meal you need your trusted Bobotie recipe and a hungry family! 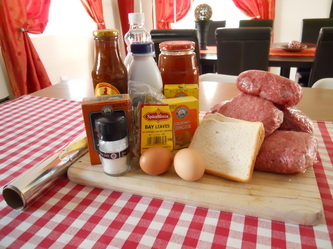 You will need to double up on your ingredients to fill the whole braaibak with a nice thick layer of mince. 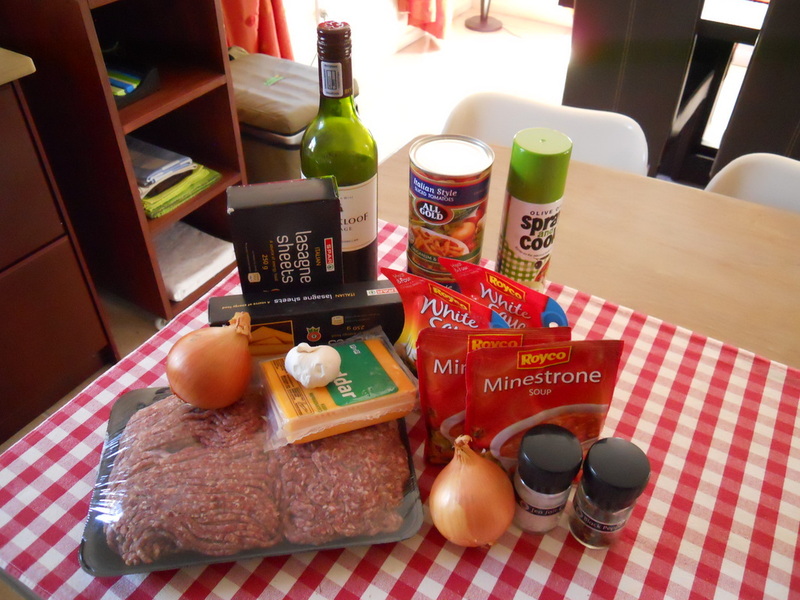 My original recipe indicated use of 1kg of mince, I doubled it up to 2kg and it worked like a charm. 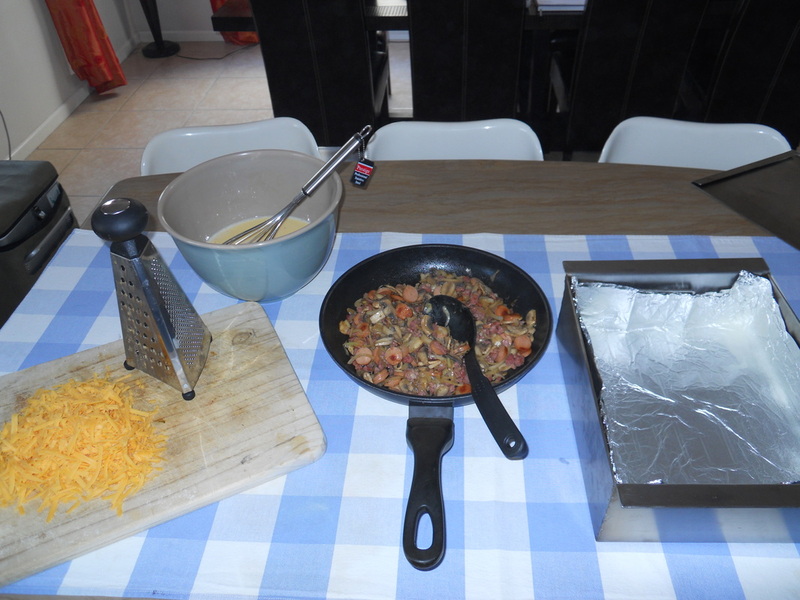 Prepare your Bobotie mince in a seperate pan/ pot and spread evenly in your prepared braai bak. Leave mince to stand for ± 10 minutes. After standing time pour the milk and egg mix over the mince. Decorate and flavour with some bay leaves and cover braai bak with the braai bak lid. Place braai bak in middle of KSC Braai with ready to cook Charka Brickets. We used ± 40 large brickets for this recipe, please use ± 60 brickets if you are using small brickets. Cover with KSC Braai lid and leave a 2cm gap between the lid and the braai. Let the Bobotie cook for ±40 minutes or until the egg has cooked. Another option is to take the braai bak lid off after 30 minutes, to place the braai bak back in the braai and cover with the braai lid again to grill for the last 10-15 minutes. Once the Bobotie is ready take it out and serve with some yellow rice and condiments! 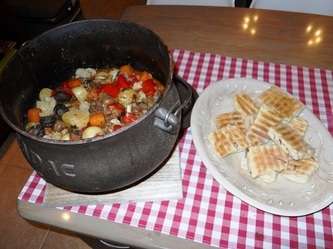 A doubled-up recipe will easily serve 8 hearty portions and offers a nice change to the normal camping or 4x4 menu. 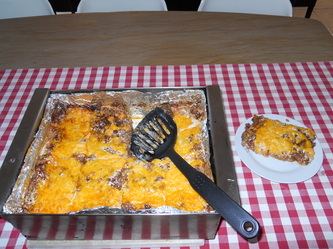 Now you too can make a Lekker Homemade Lasagna on your camping or 4x4 holiday! Get your basic lasagna ingredients together and start cooking! One box of lasagna sheets will be sufficient for 3 layers of lasagna and 1.2 - 1.5kg of mince will be sufficient to fill the whole braai bak up to 3/4 and to lay 3 layers of lasagna. Prep your braai bak with a double layer of heavy duty tinfoil and Spray & Cook as with the Savoury Bread Cooking Demo. 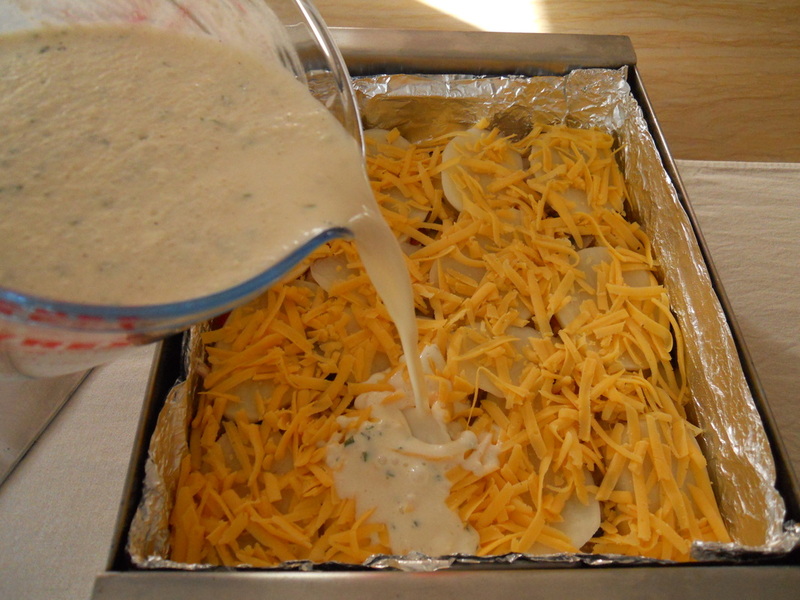 Spread some white sauce evenly over the base of the braaibak and layer lasagna sheets. 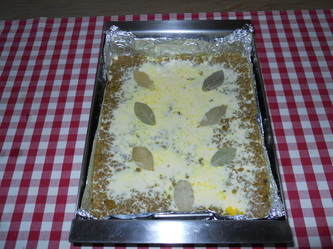 Place a layer of prepared mince over the lasagna sheets. Repeat steps two and three until all the mince and lasagne sheets have been used. 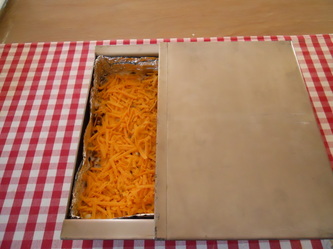 Cover lasagna with 2 cups of grated cheese.Place braai bak lid over braaibak. Place even amounts of prepared Charka brickets on either side of the KSC Braai, leaving enough open space for the braai bak. 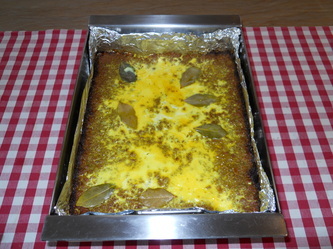 We used ± 40 large Charka brickets for this recipe, please use ± 60brickets if you are using small brickets. 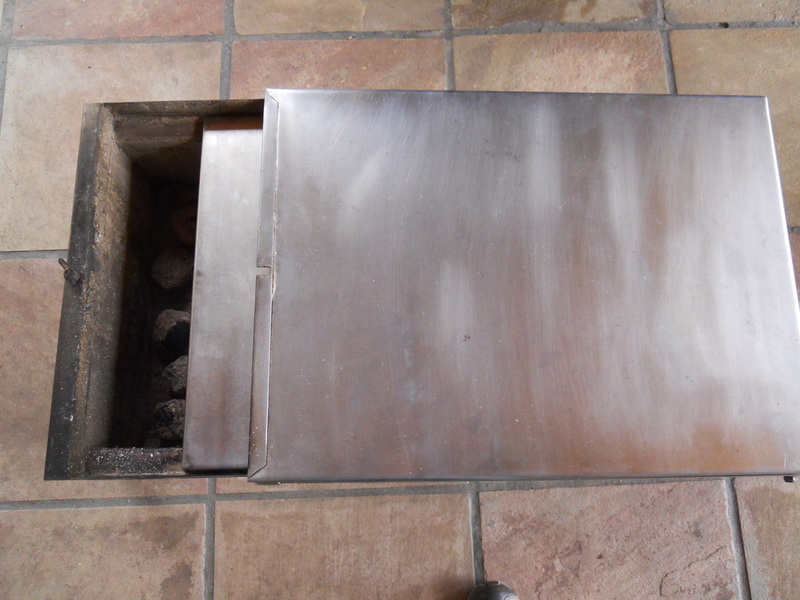 Place braai bak in middle of the KSC Braai and cover braai & braai bak with lid, leaving a 2cm gap for ventilation. After 1 hour of cooking remove the braai bak lid and leave braai bak inside KSC Braai and cover with the braai lid only, to grill for another 15-20 minutes. After grilling, take braai bak out of braai and leave lasagna to rest for another 10-15 minutes. And serve! When using the braai bak to prepare lasagna you should be able to serve 6-8 people depending on portion sizes. This month we show you how to make a DEFINITE WINNER BREAD in your KSC Braai & Braaibak! 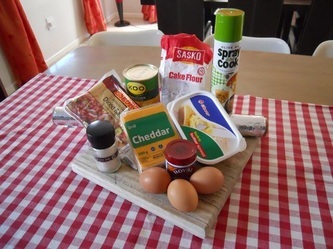 The ingredients: 1 kg Self Raising Flour, 500 ml Buttermilk, 1 x Packet White Onion Soup, 1 x Tin Sweetcorn, 1 x Red Pepper finely chopped, 1 x Egg, 2 x cups Grated Cheddar Cheese & Milk as needed. Mix all the ingredients together, except the cheese. The result should be a sticky dough mixture! 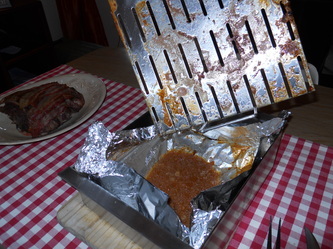 Take a long strip of heavy duty tinfoil, fold it double and fold tinfoil out in braaibak and over driptray. 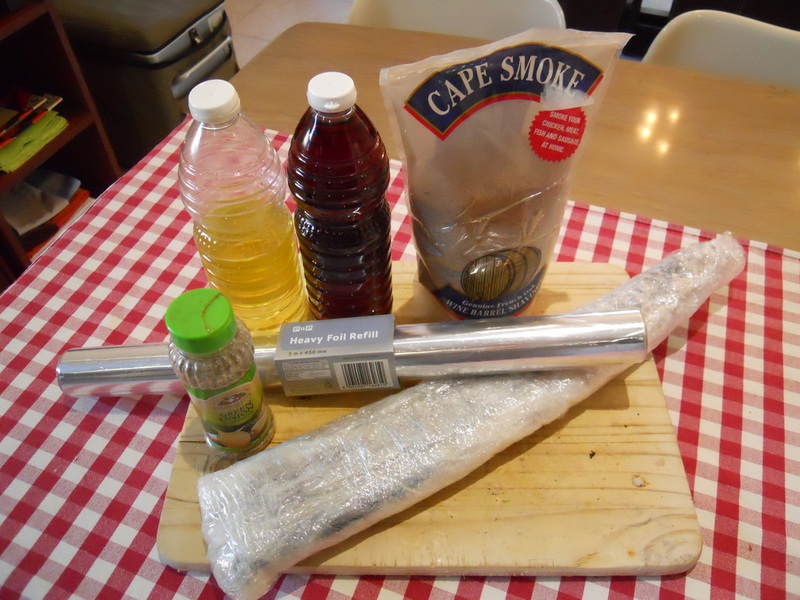 Prepare braai bak with Spray & Cook to prevent bread from sticking to tinfoil. 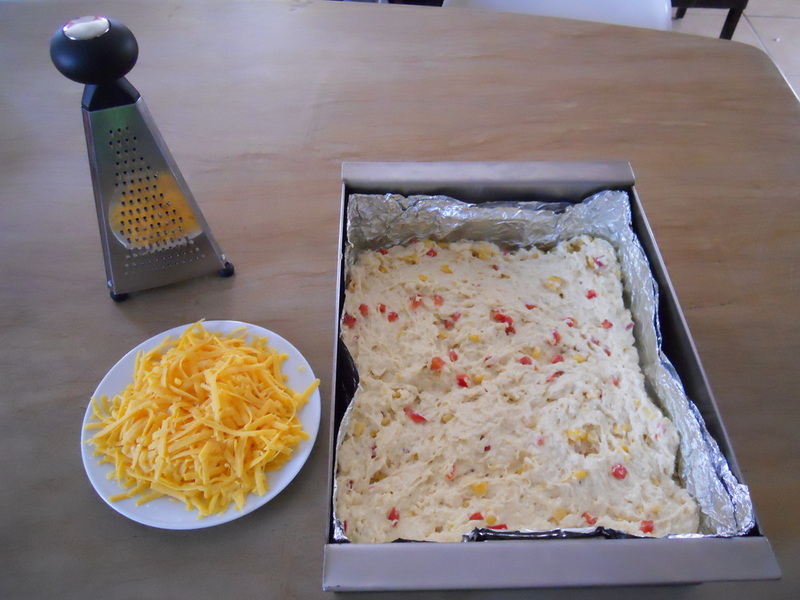 Place dough mixture in braai bak, spread out evenly to sides and corners and cover generously with grated cheese. Slide braai bak lid over dough mixture to close up the braai bak. Place braai bak in middle of KSC Braai with ready/ hot Charka brickets on both sides of the braai. 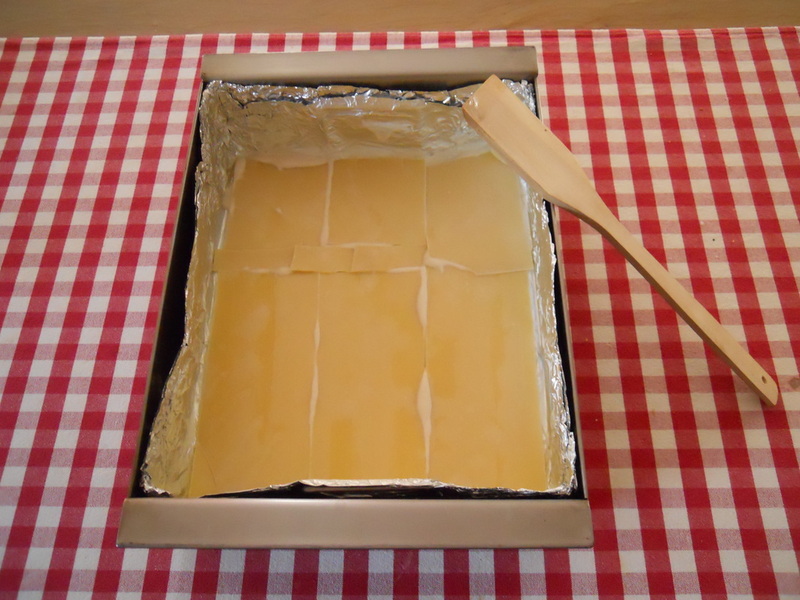 We used ± 40 large Charka brickets, please use ± 60 brickets if you are using small brickets. 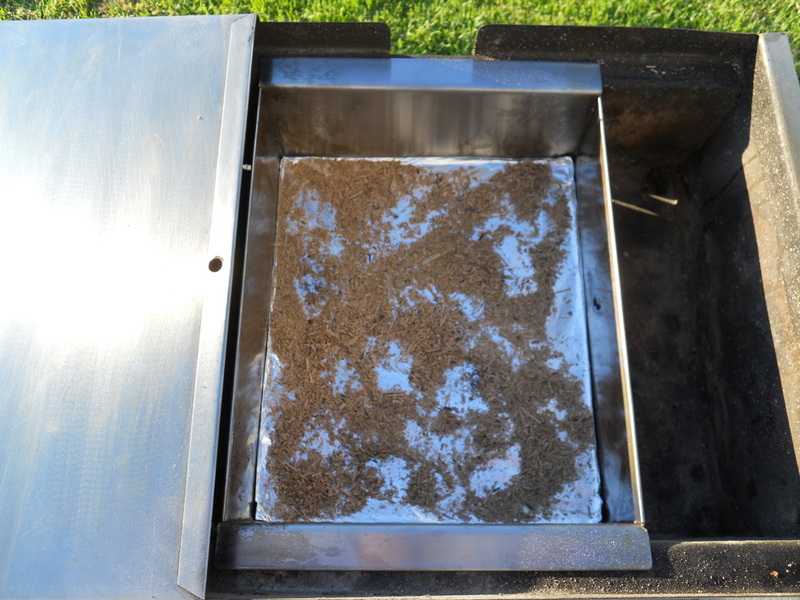 Cover KSC Braai & braai bak with lid, leaving a 2cm gap for ventilation. Leave for 1 hour to bake! After 1 hour take braai bak out of braai and test to see that bread is baked through. If bread is ready, leave it for another 20-30 minutes covered in the braai bak to "sweet" at bit. 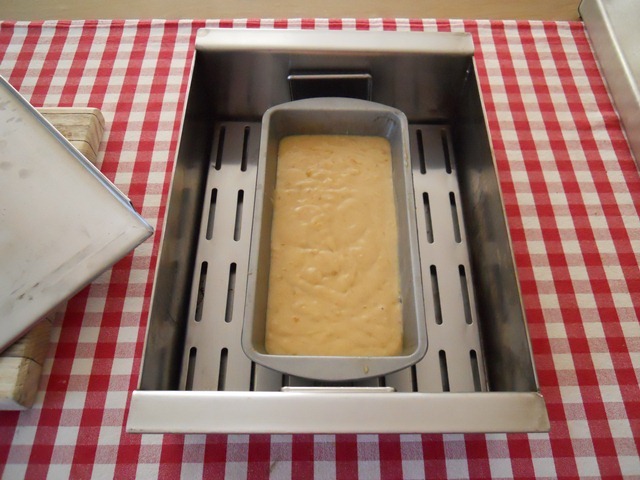 After the 20-30 minutes standing time, take the driptray with bread on top, out of the braai bak. 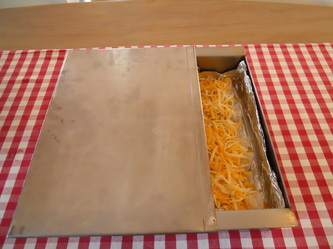 Slide tinfoil with bread off the driptray, fold tinfoil out/ doen to the sides and slide bread off the tinfoil onto a breadboard. Slice over the width of the bread, serve with butter & paté and there you go, a yummy Savoury Bread in 1 hour! This bread is large enough to easily serve 15+ people as a side dish. For more detailed photos with comments of the demonstration please follow the link to our Facebook Page . Our first cooking demonstration is of a Juicy Grilled Chicken, to serve for either lunch or dinner! 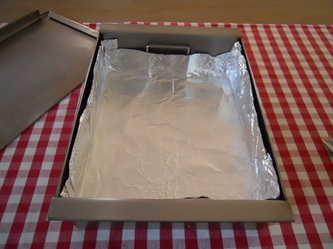 Prep your braai bak by placing a layer of heavy weight tinfoil underneath the driptray to prevent juices from burning to braai bak. 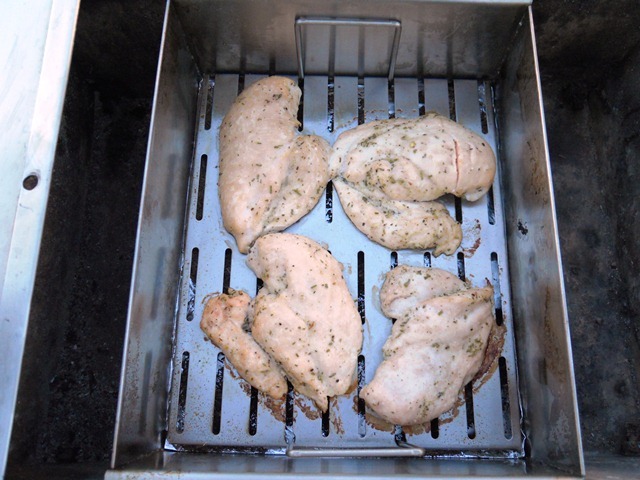 Marinate one large chicken and place on drip-tray in the center of the braai bak. We used a thick Honey & Mustard Basting Sauce for this demo, but any will do. We added two large potatoes and two large onions in the braai bak with the chicken to cook a lunch for four people. 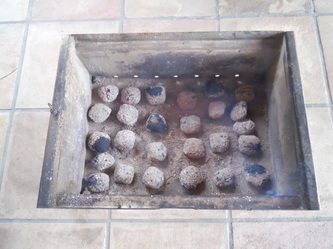 Prepare 1 full charcoal cup of Charka brickets for 1 hour 30 to 2 hours worth of cooking. 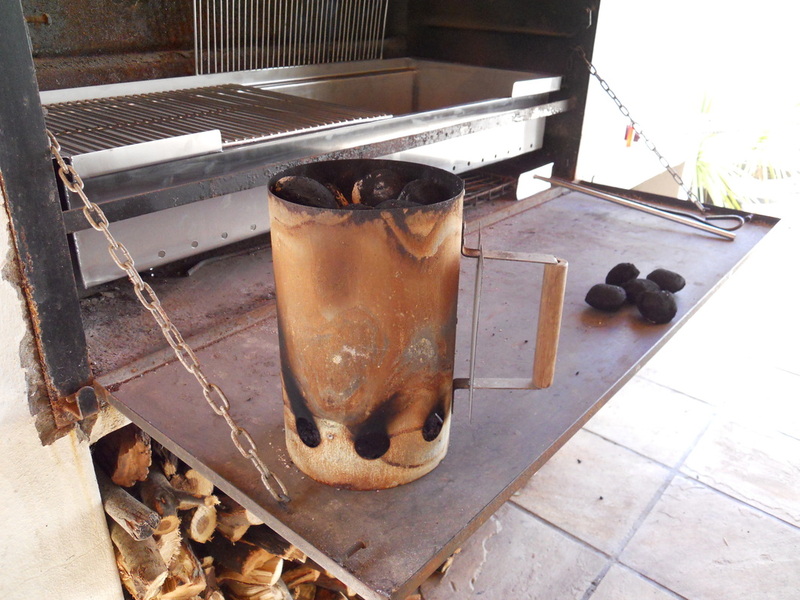 If you don't have a charcoal cup you can heat ± 40-45 large Charka brickets in your braai. NB - please use ± 60-65 brickets if you are using small brickets. 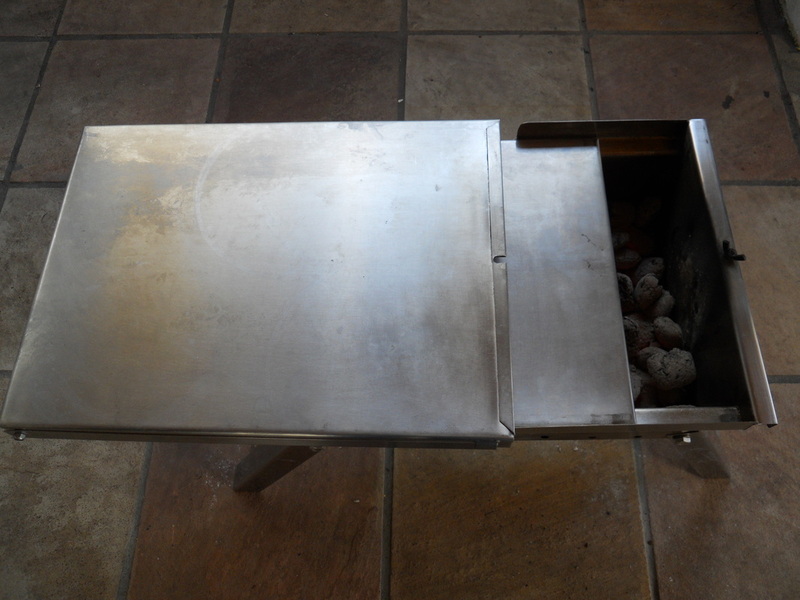 Set your KSC Braai up and get all the necessary utensils together while waiting for the Charka to get ready.Once the Charka is ready pour ± equal amounts on either side of the braai, in order to leave space for the braai bak to fit. Place braai bak inside braai between the Charka brickets. Slide over braai lid to cover contents and leave ± 1 cm gap open while cooking. Slide lid open ± every 20 minute to check on and baste chicken. Lunch/ dinner is ready after an hour and a half! PLEASE NOTE: Cooking times may vary a bit depending on the size of the chicken and additional items in your braai bak.